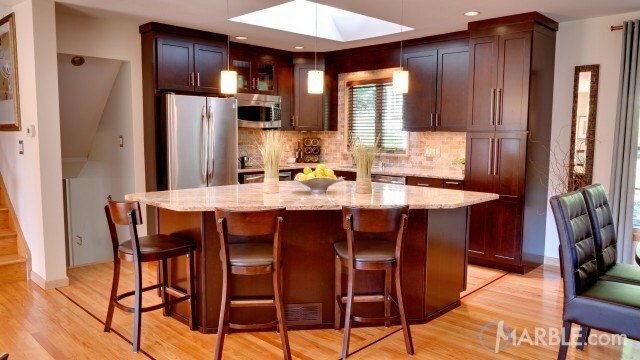 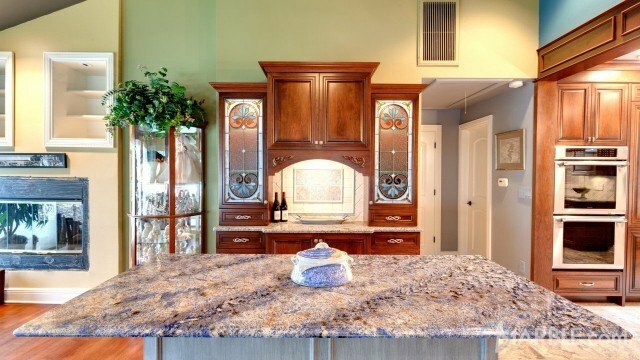 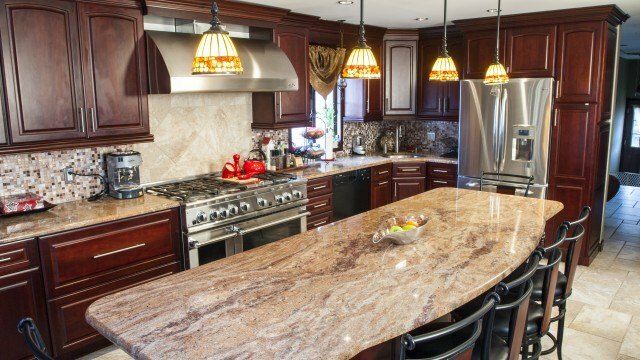 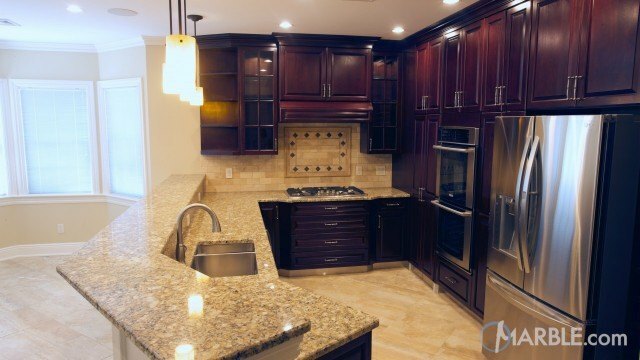 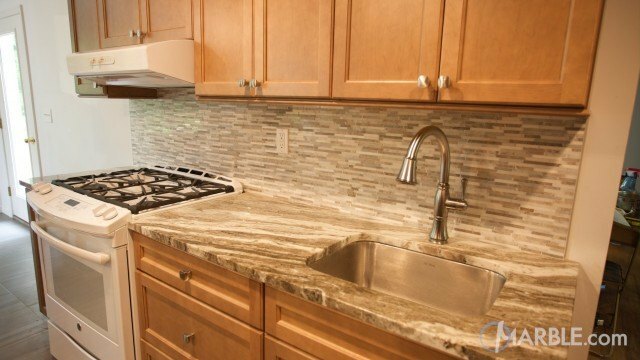 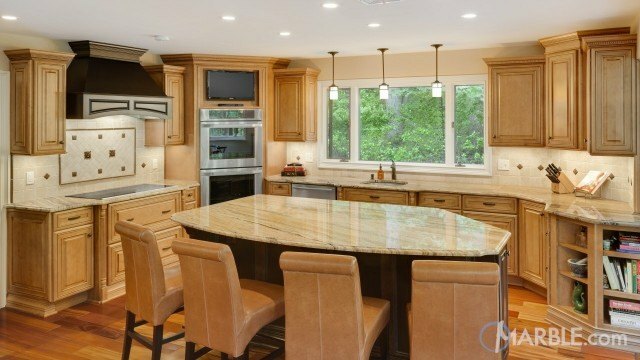 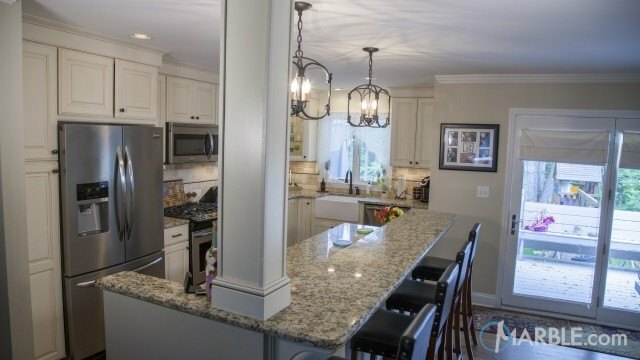 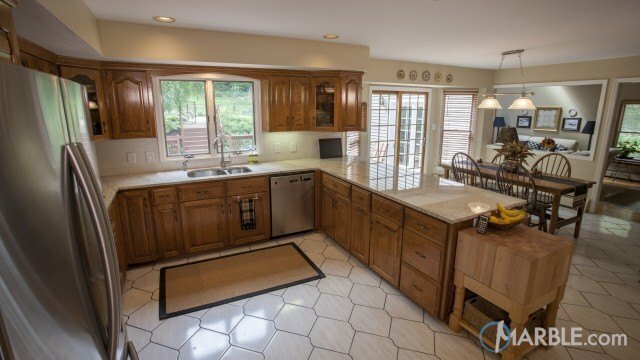 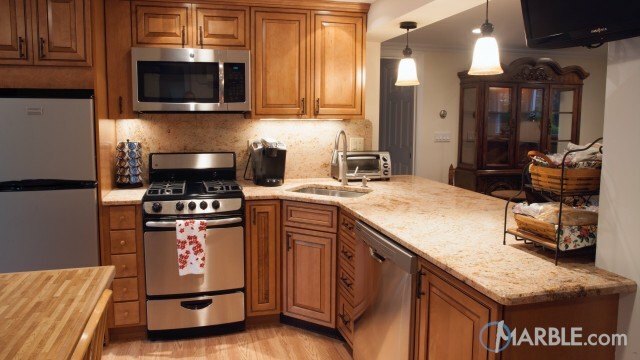 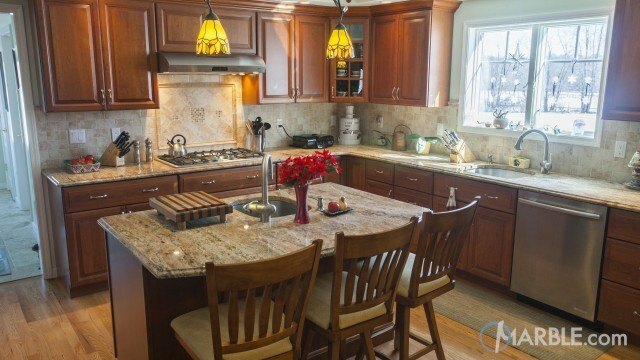 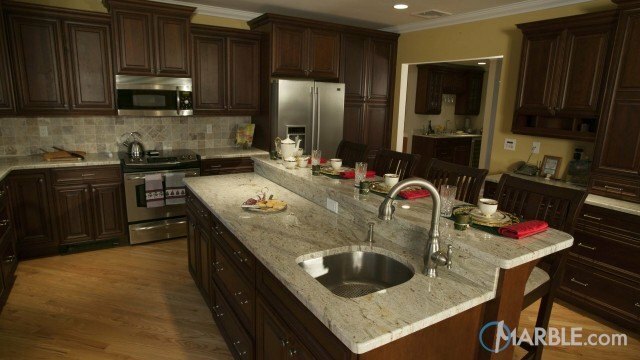 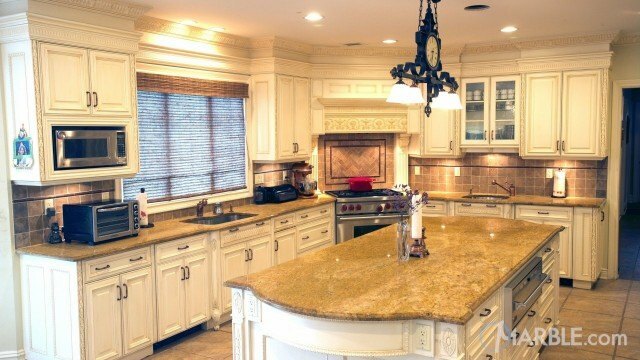 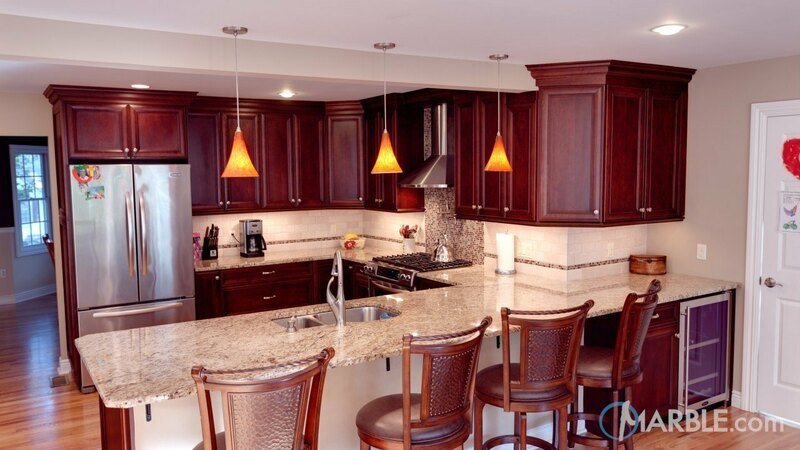 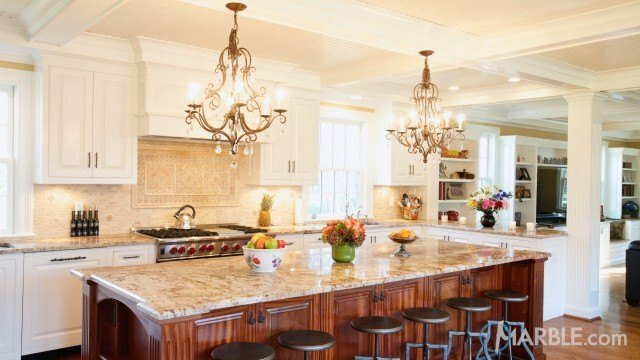 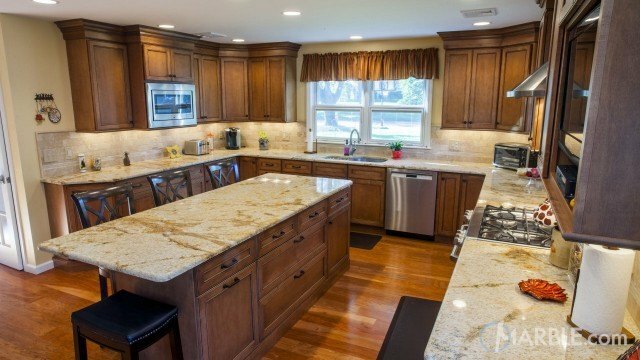 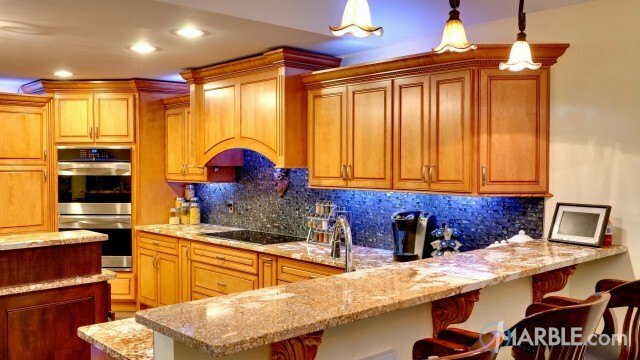 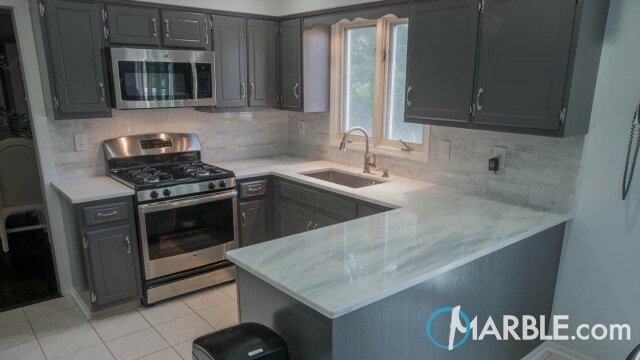 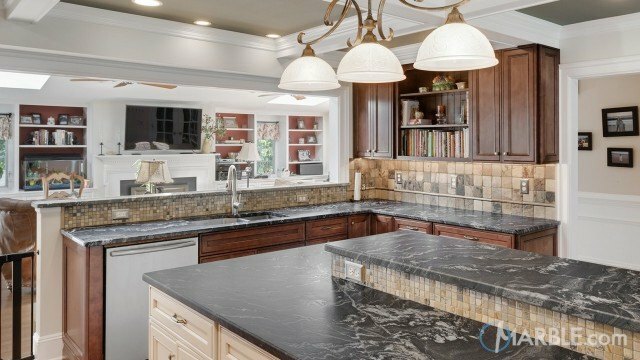 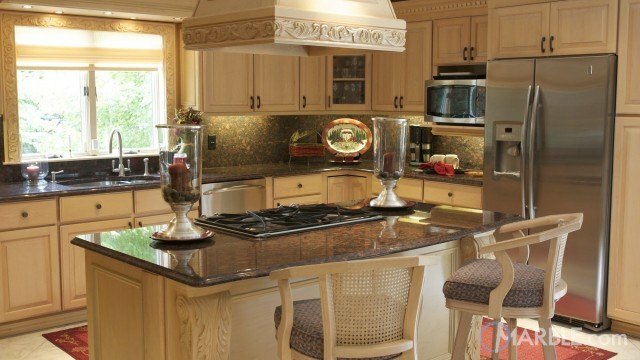 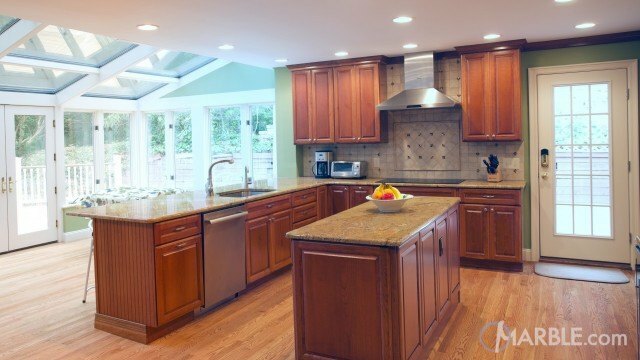 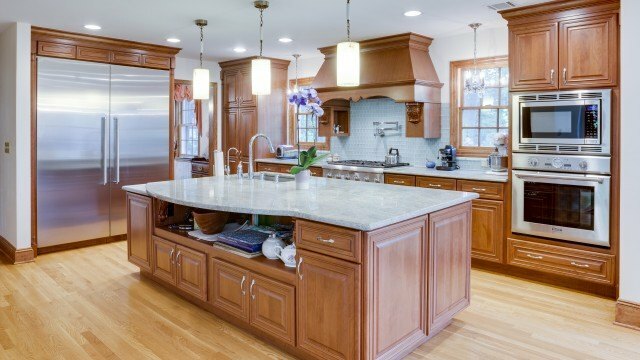 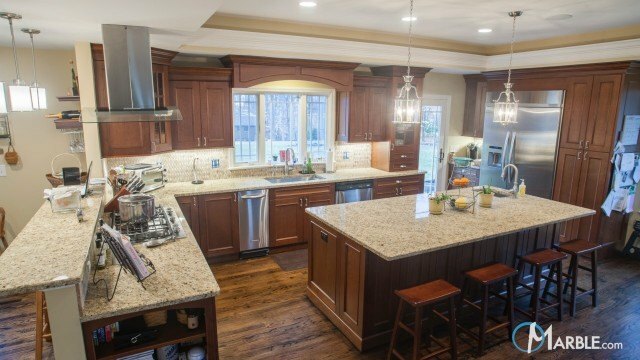 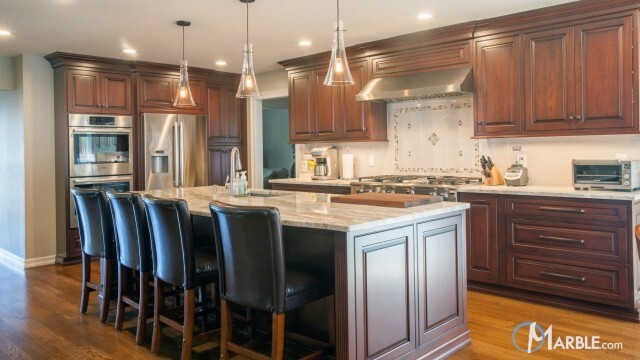 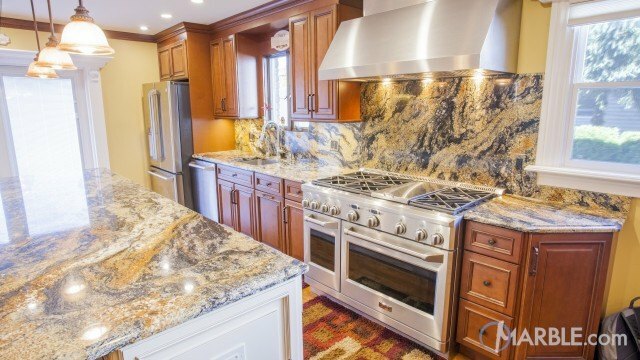 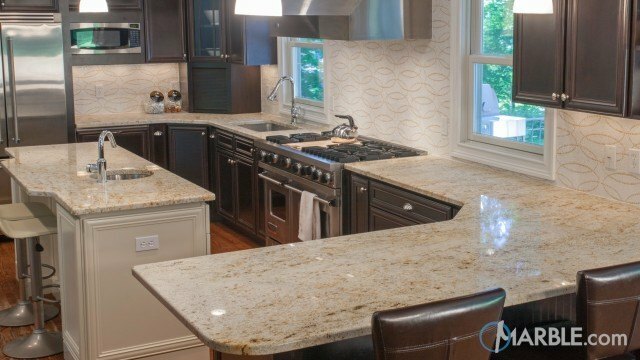 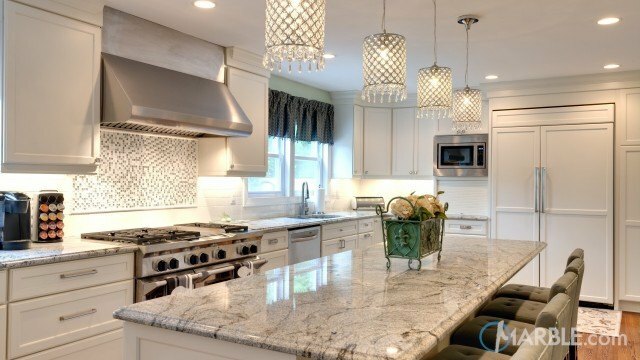 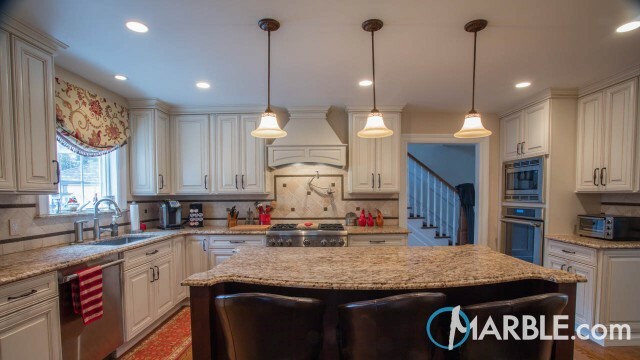 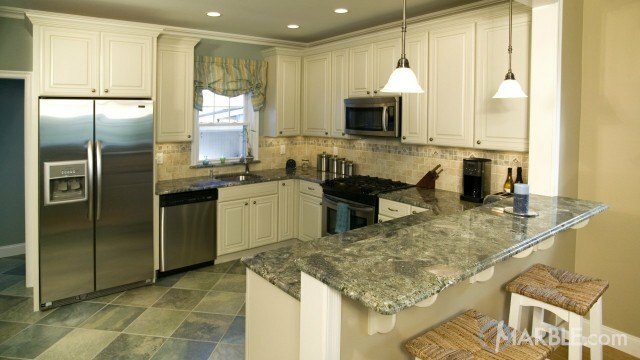 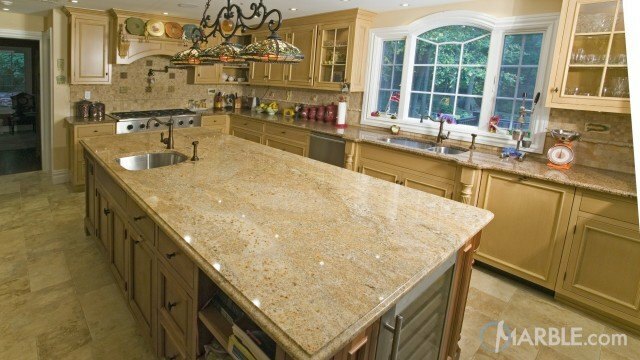 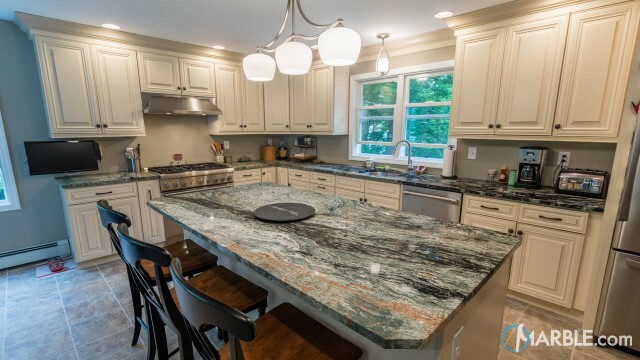 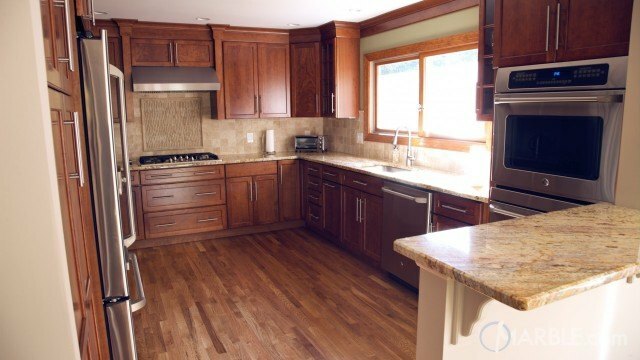 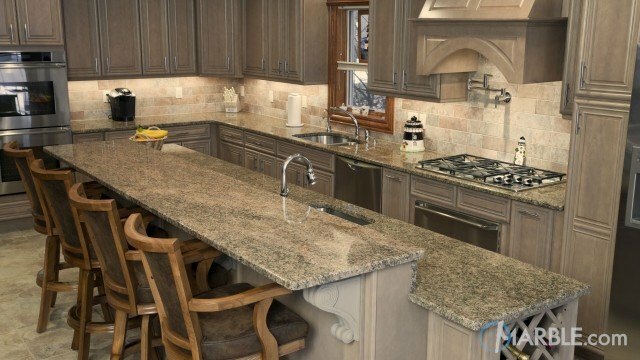 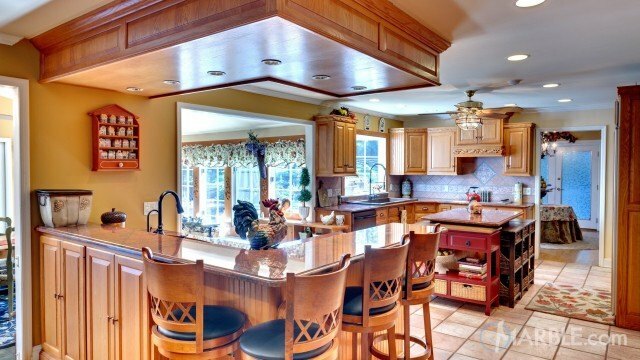 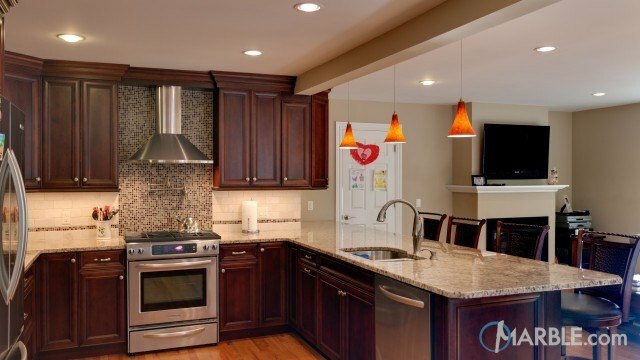 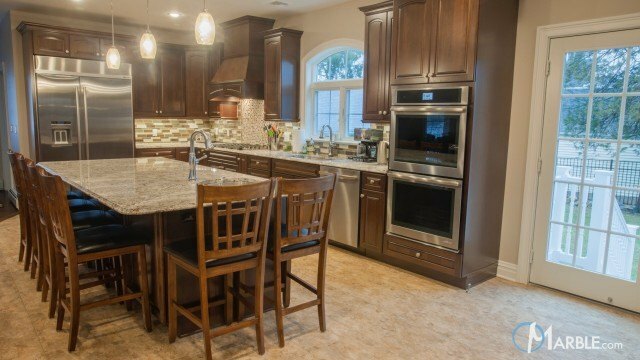 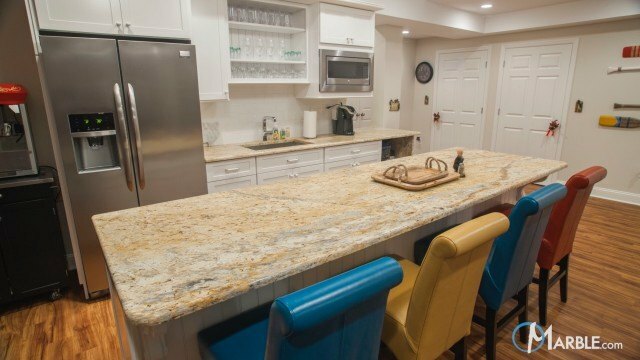 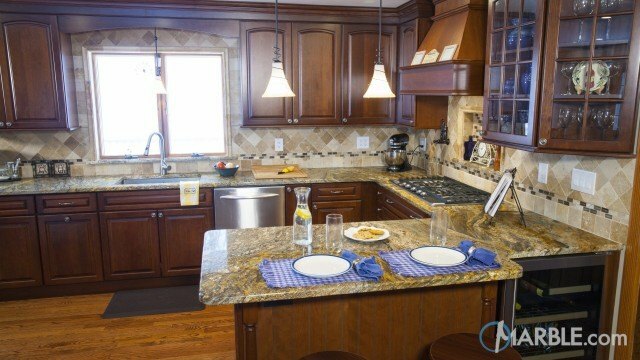 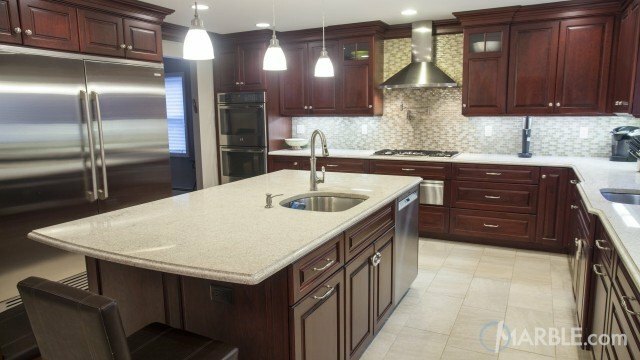 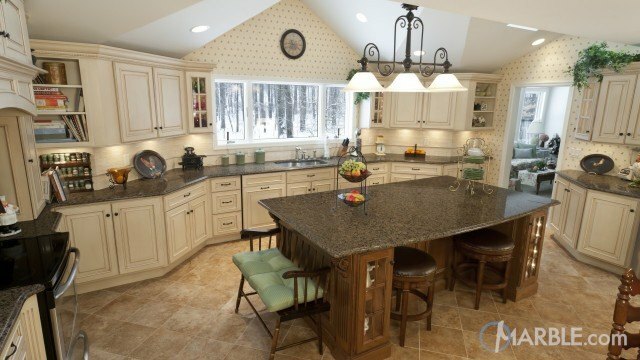 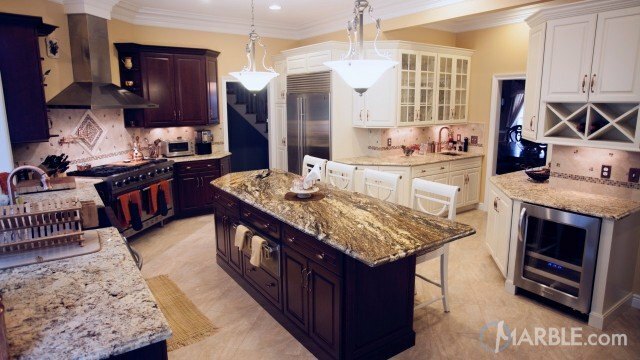 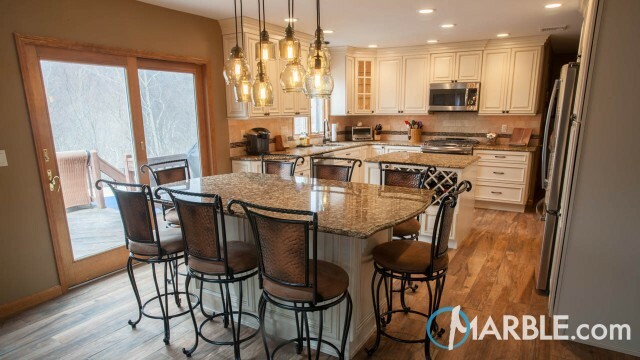 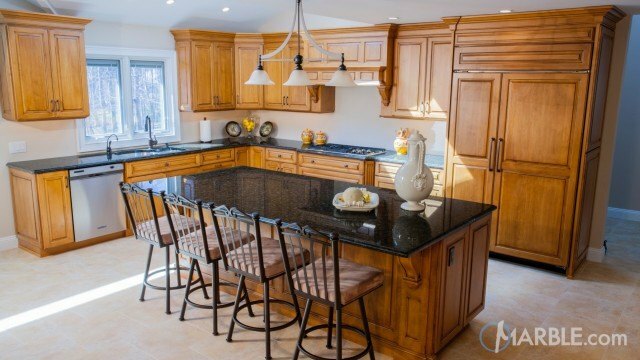 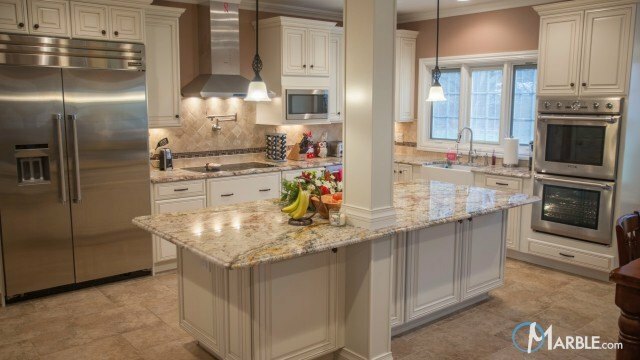 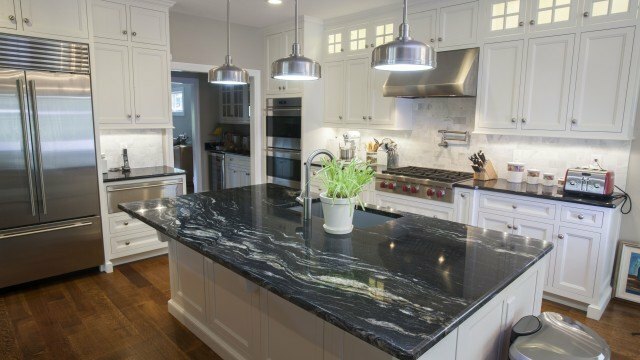 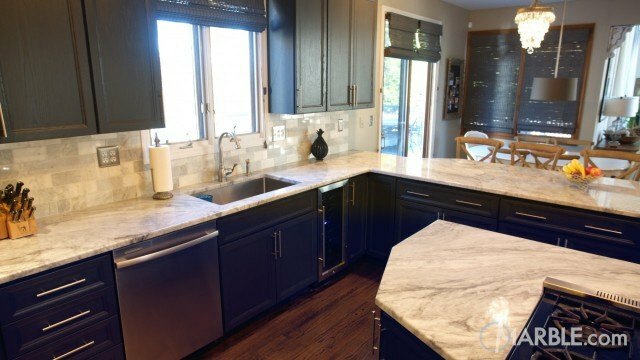 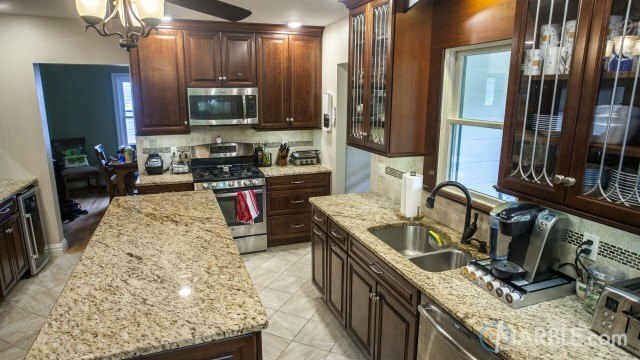 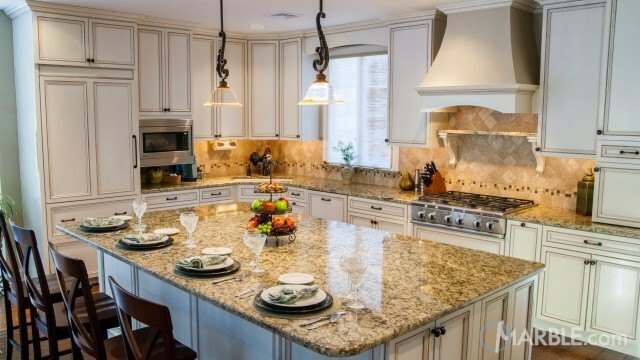 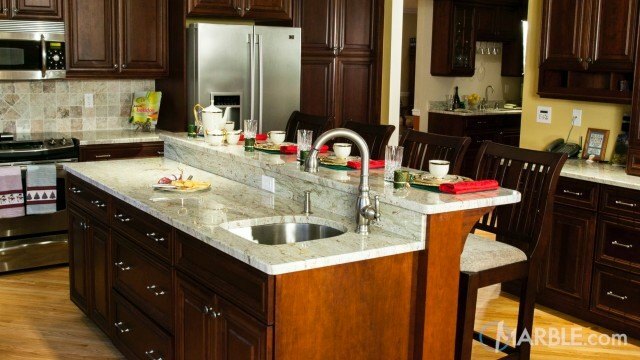 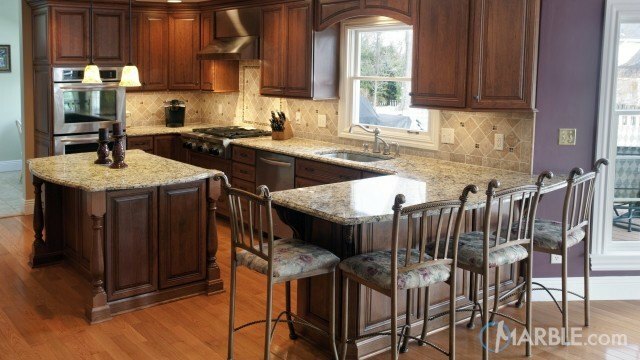 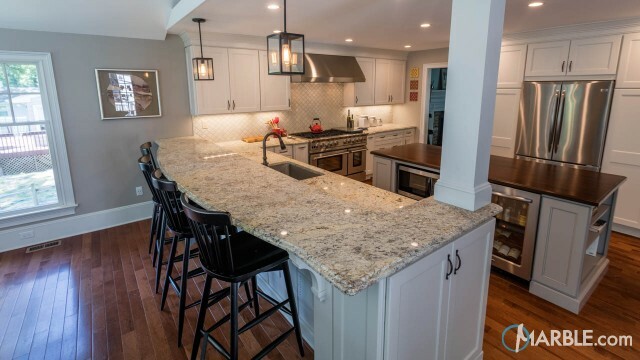 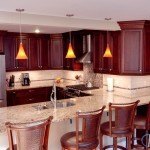 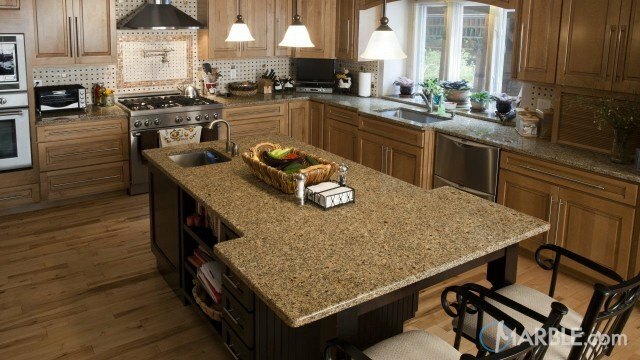 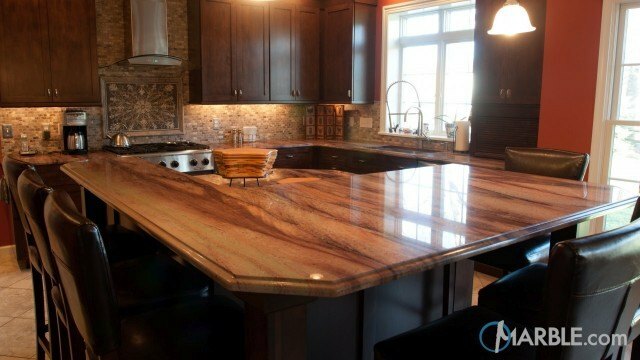 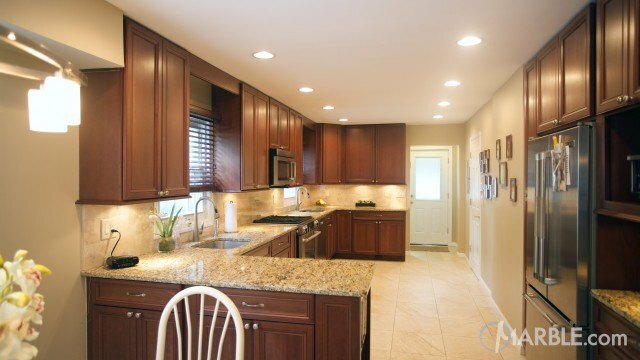 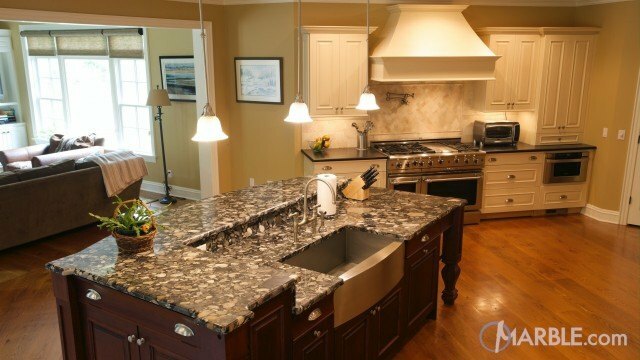 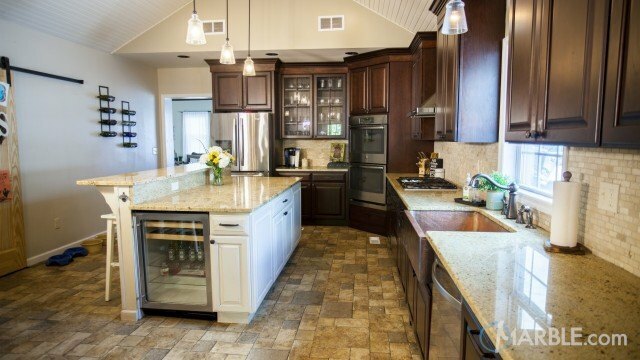 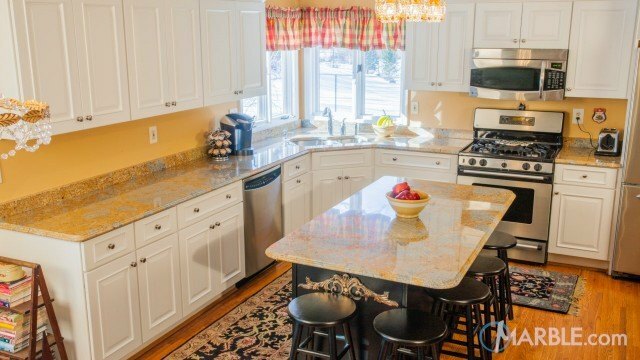 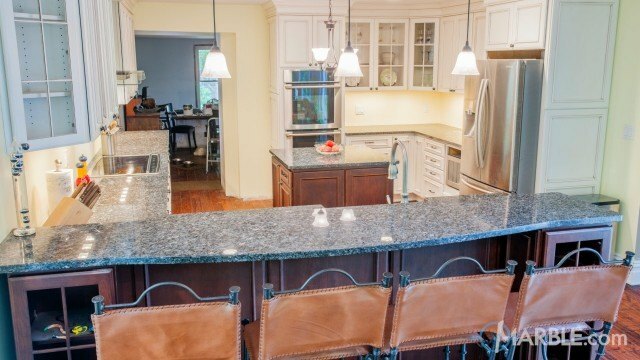 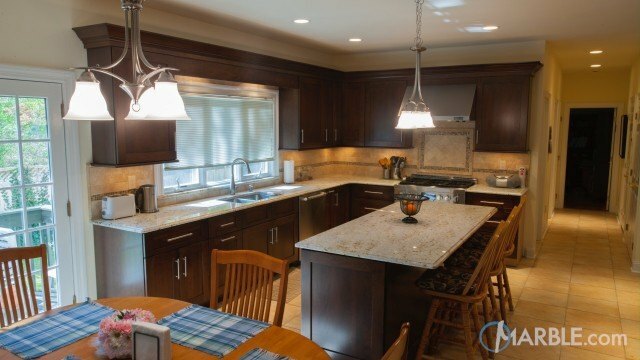 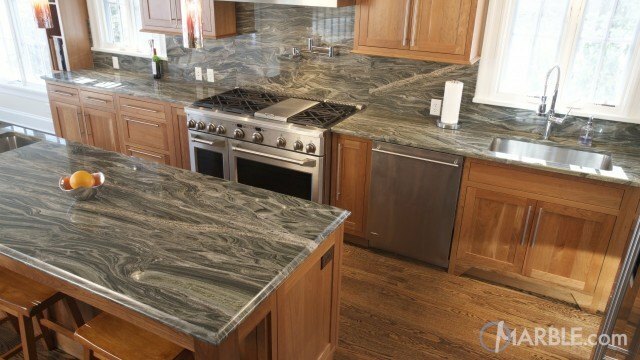 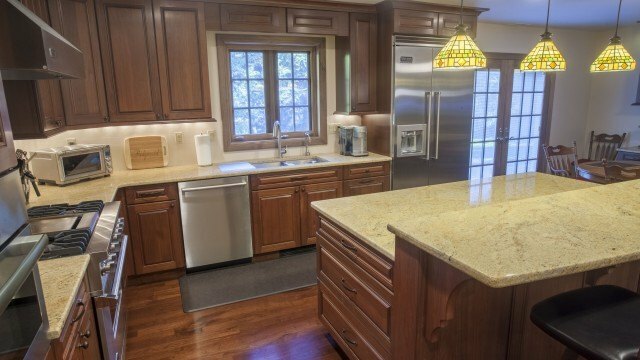 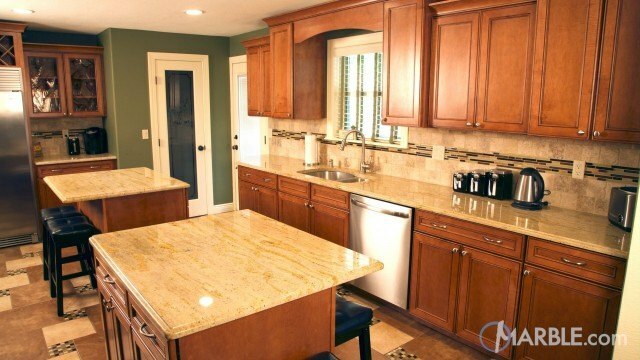 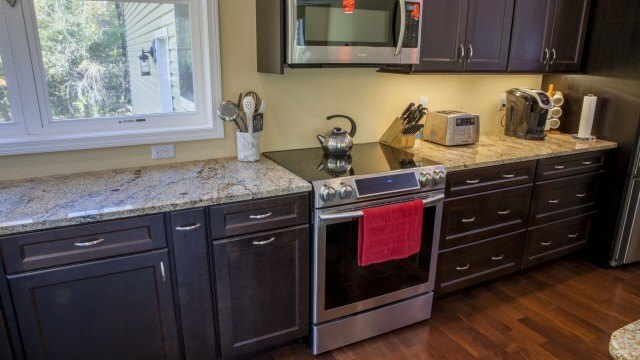 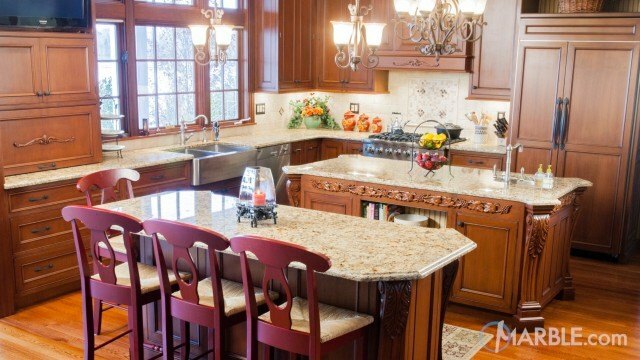 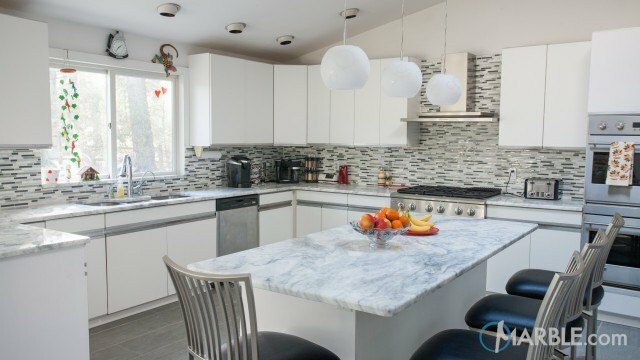 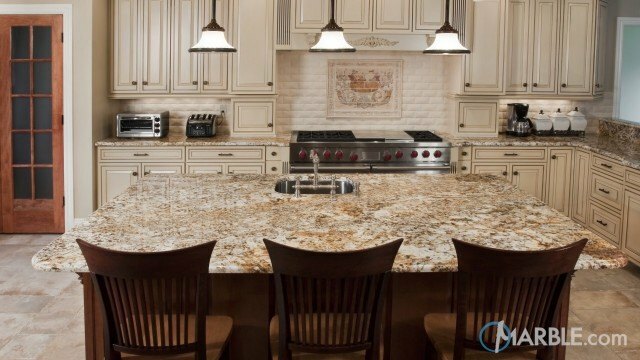 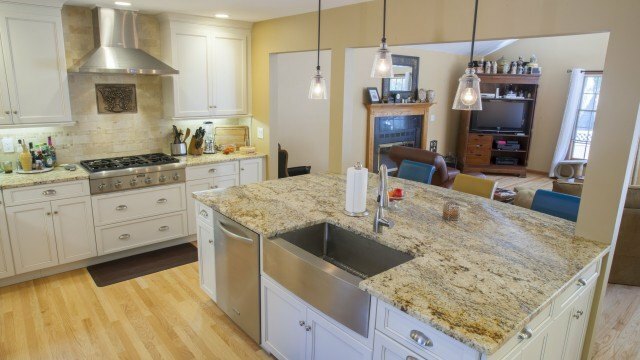 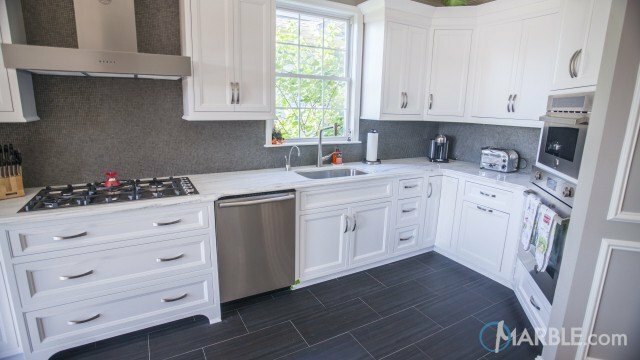 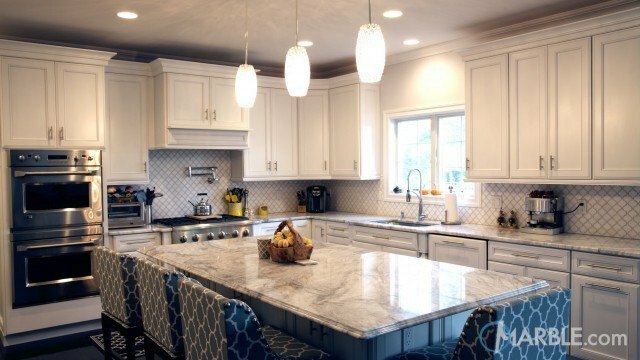 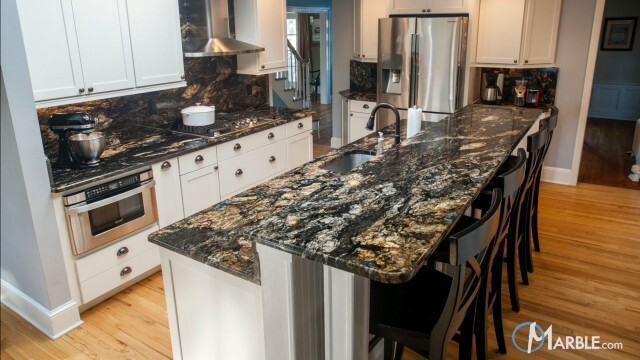 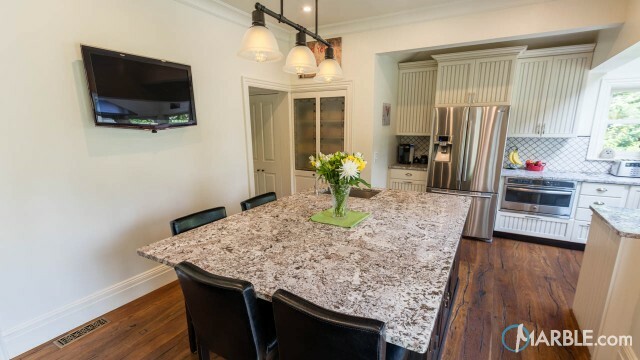 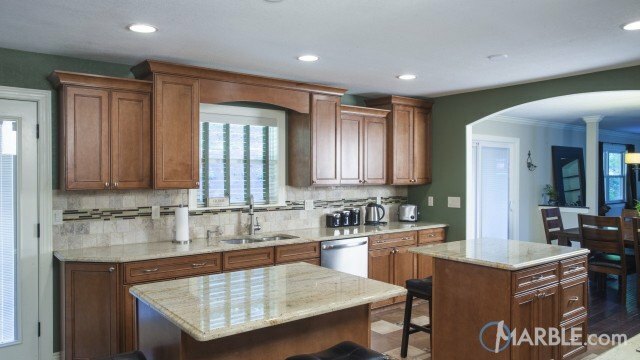 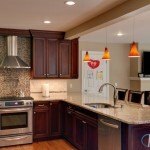 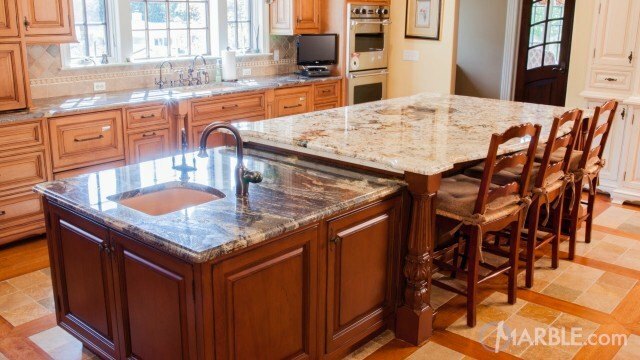 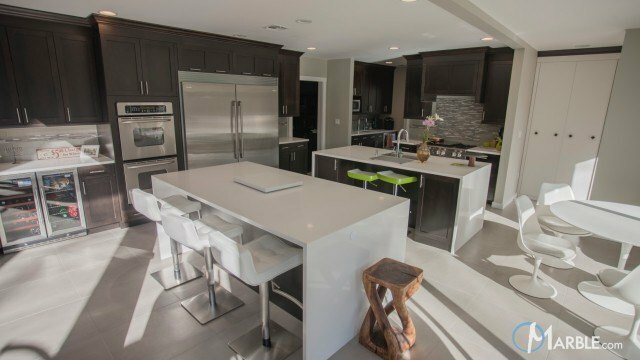 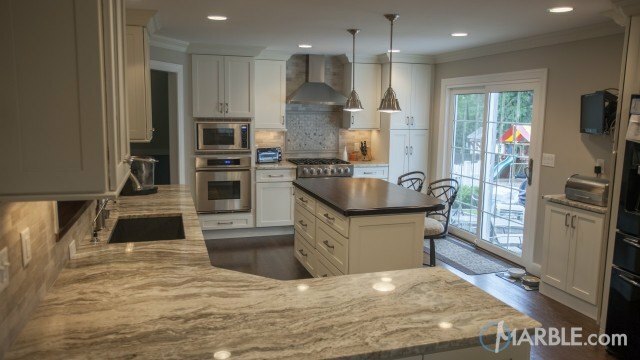 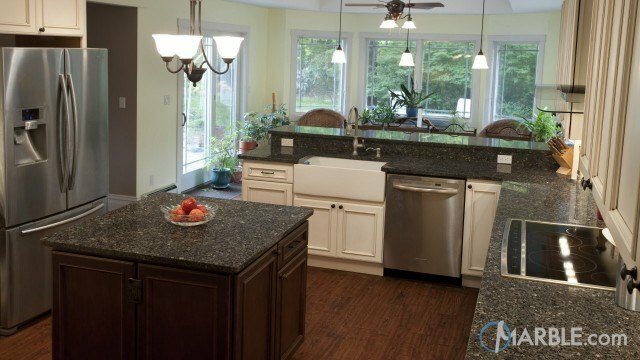 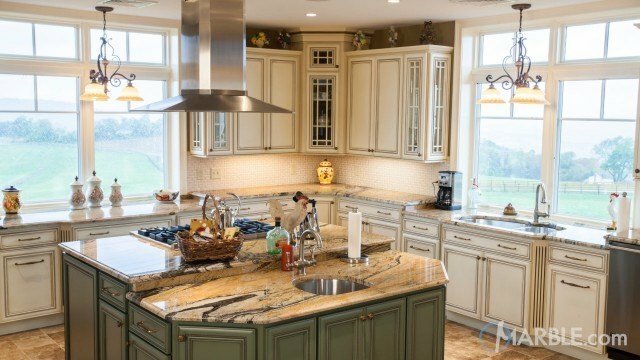 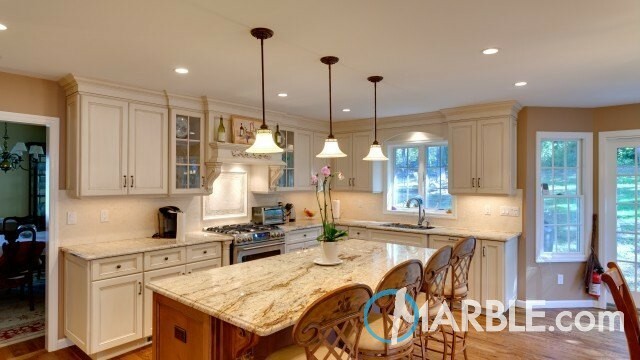 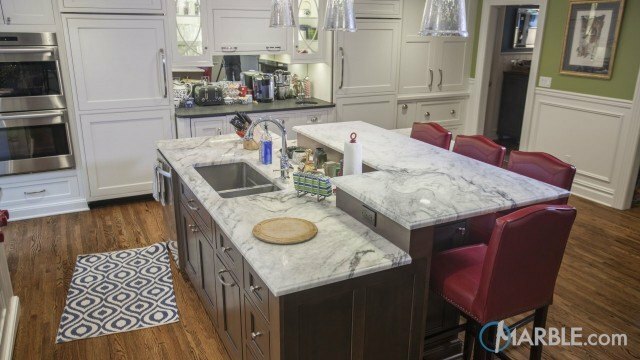 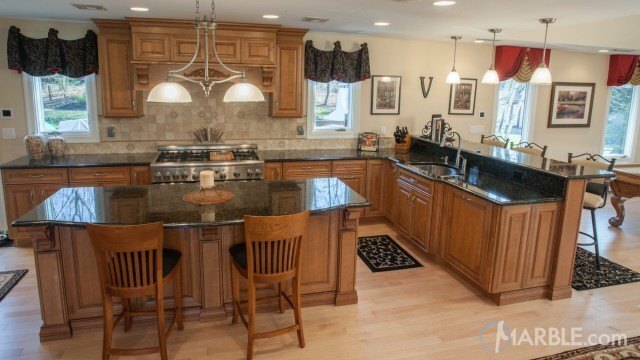 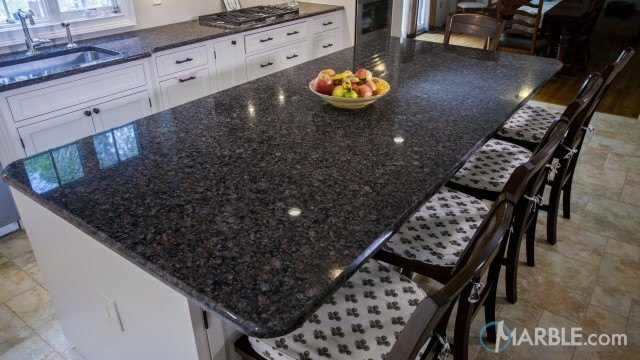 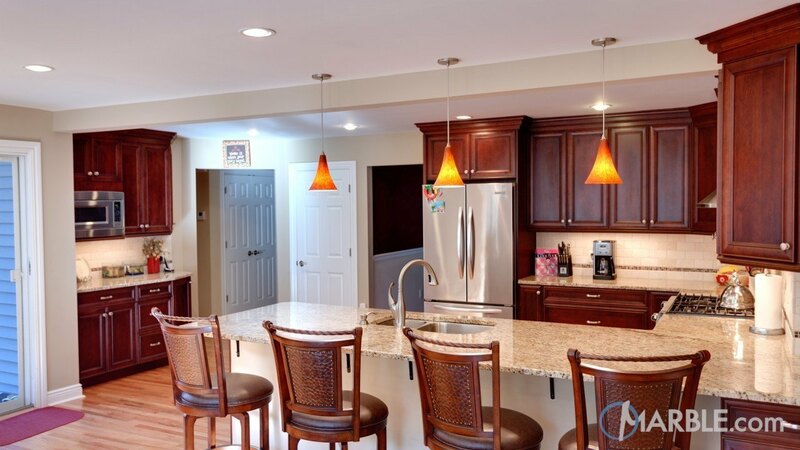 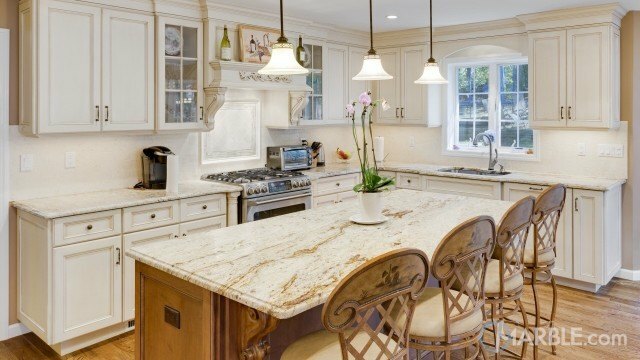 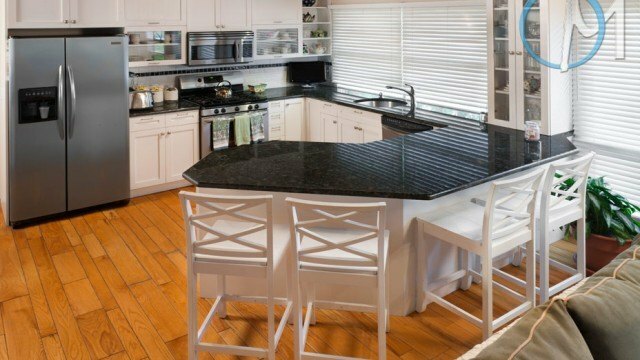 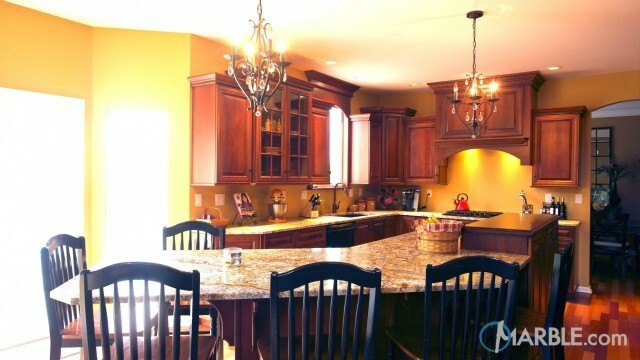 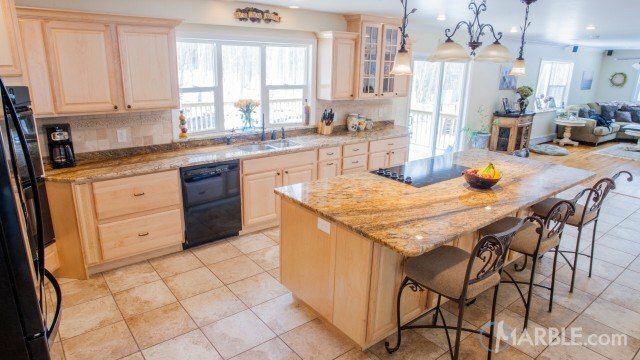 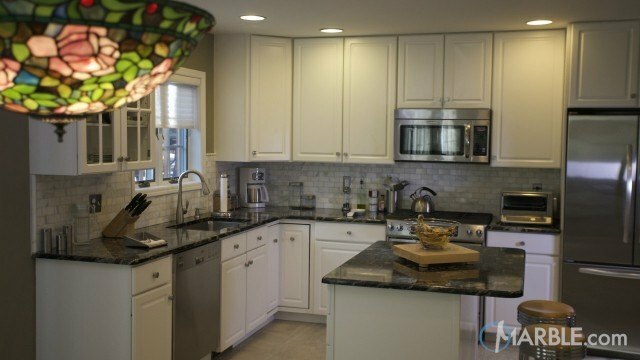 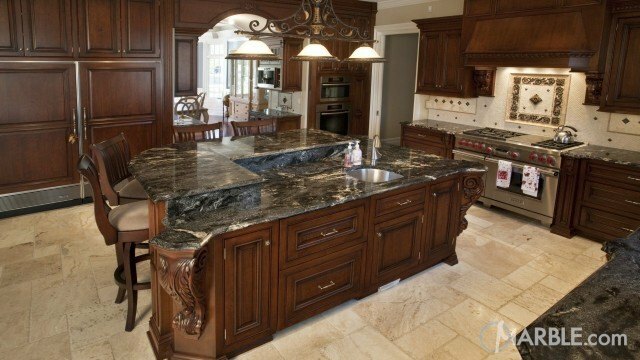 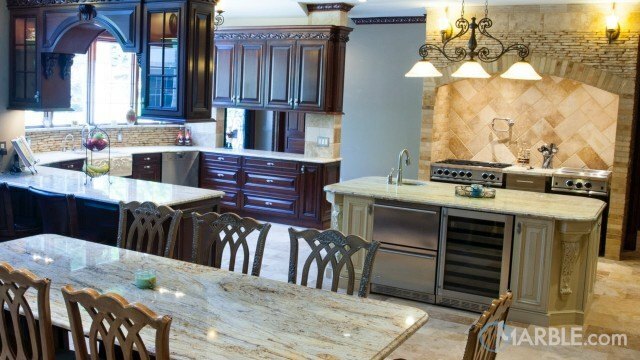 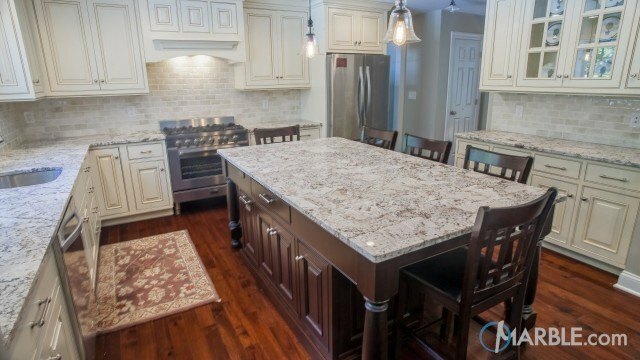 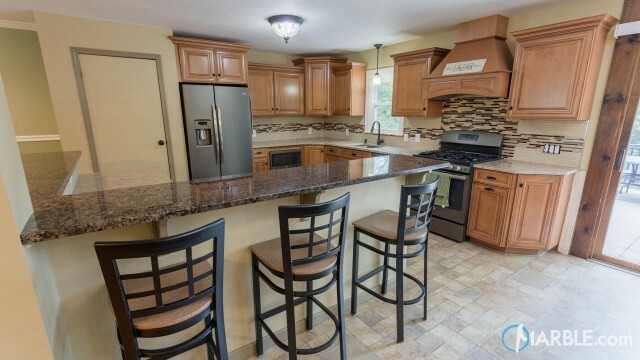 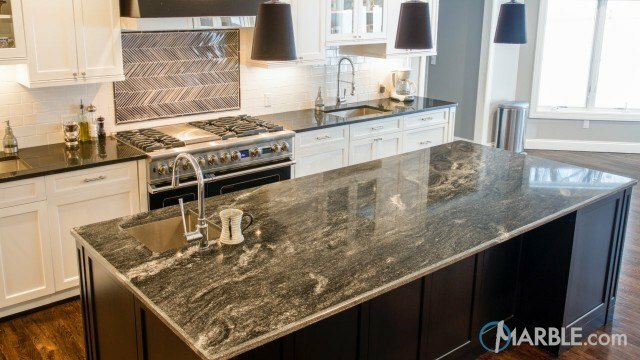 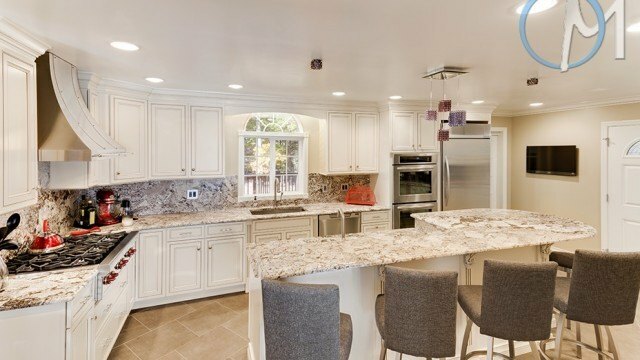 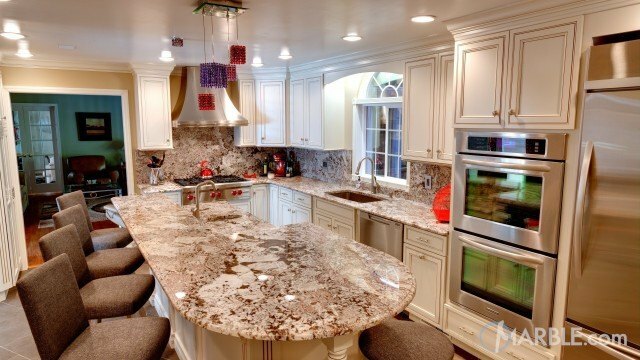 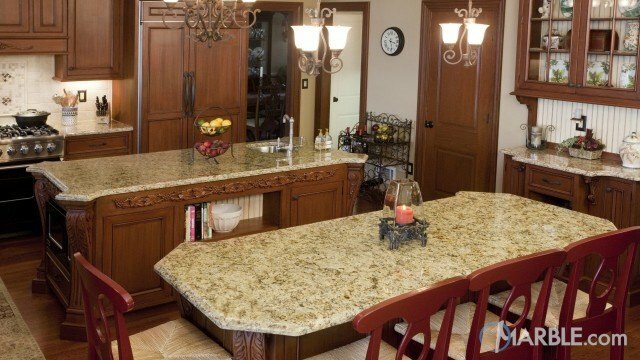 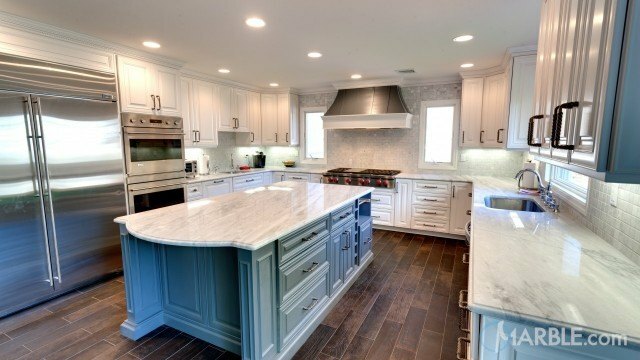 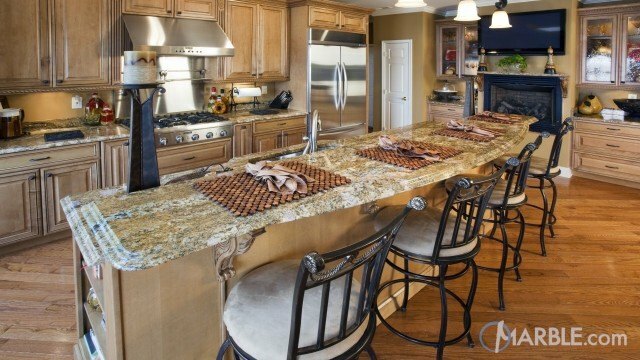 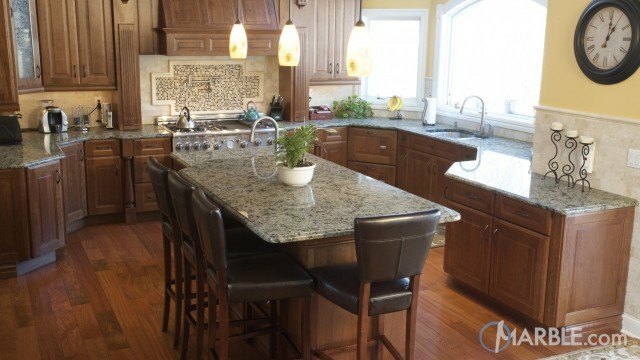 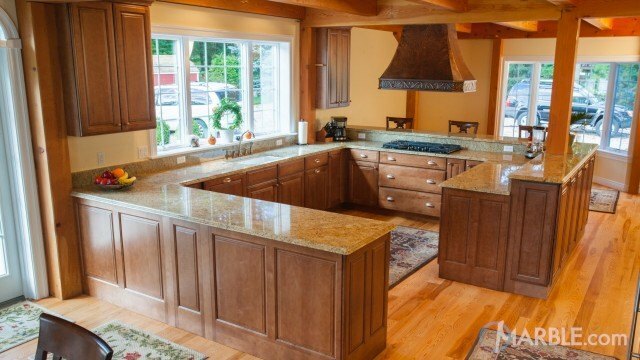 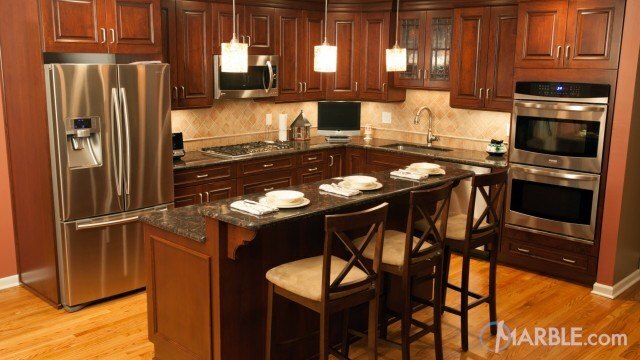 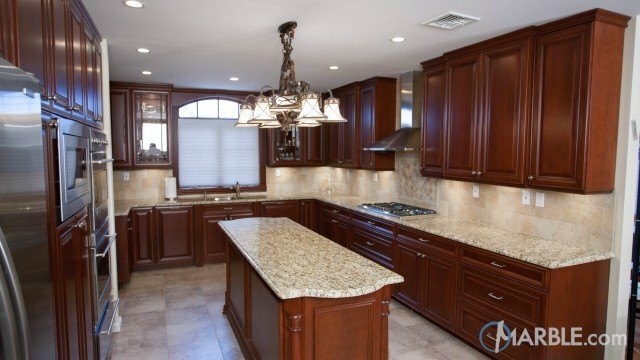 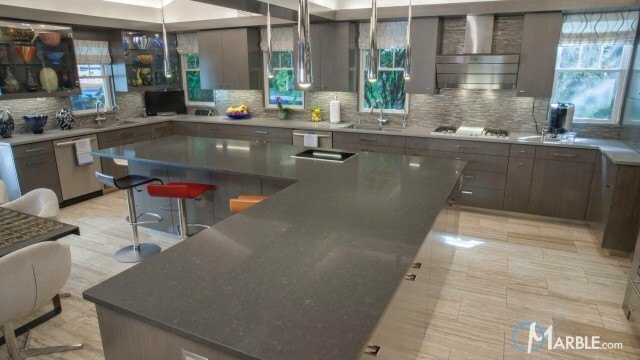 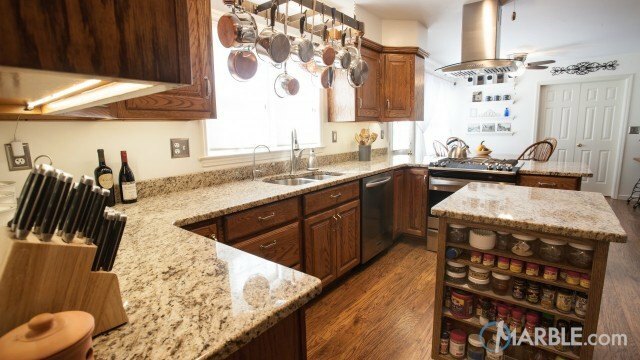 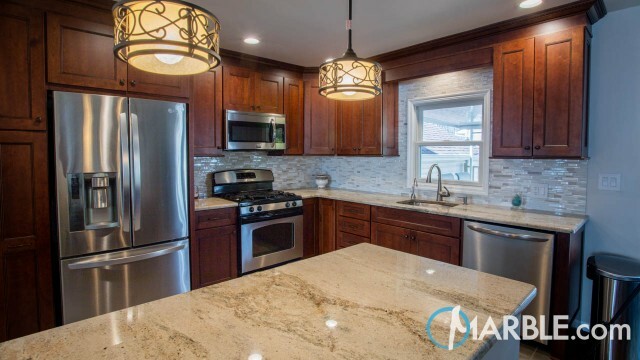 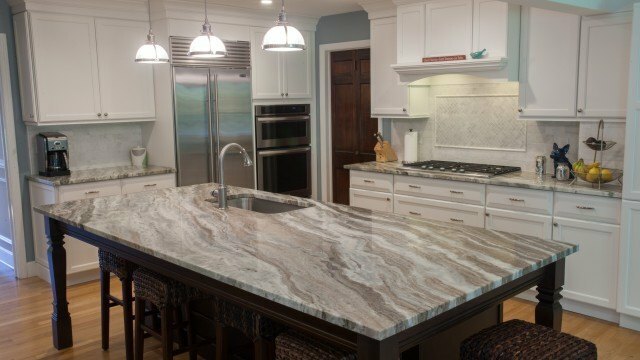 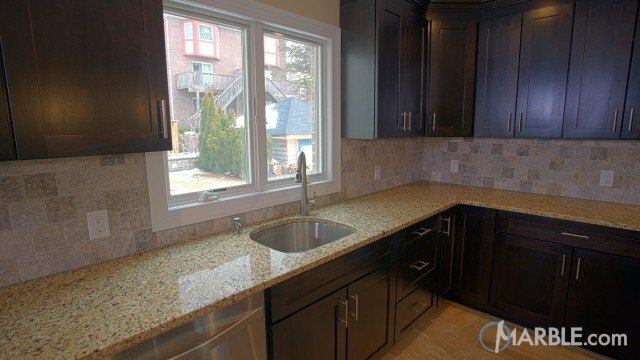 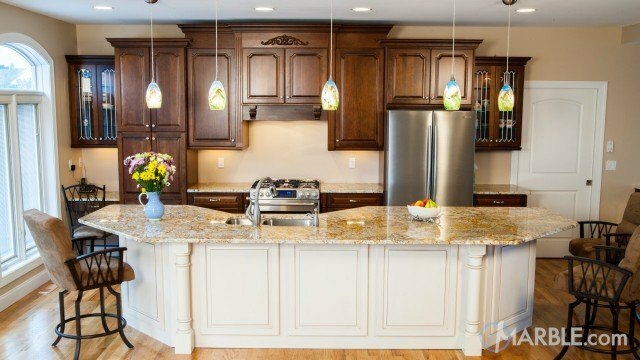 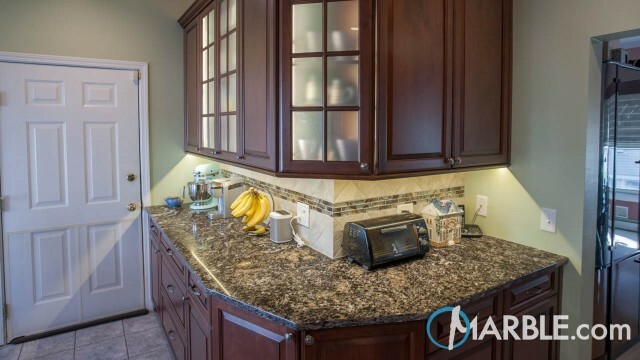 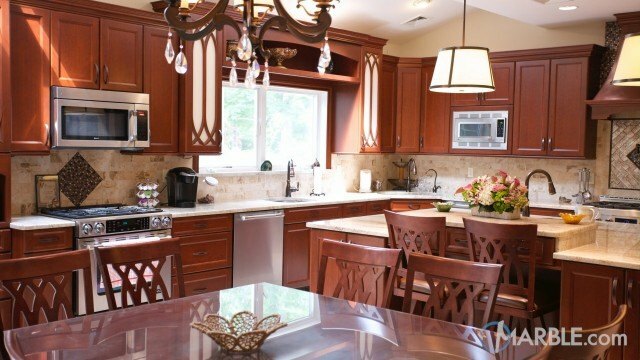 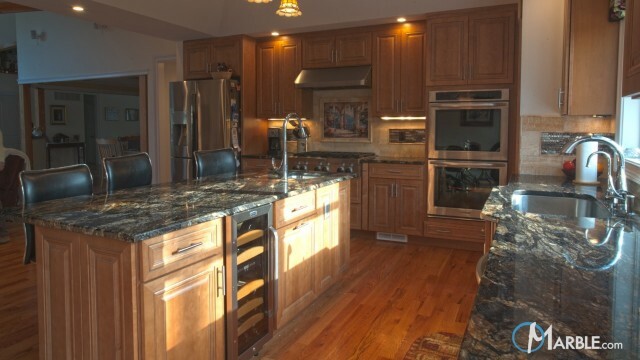 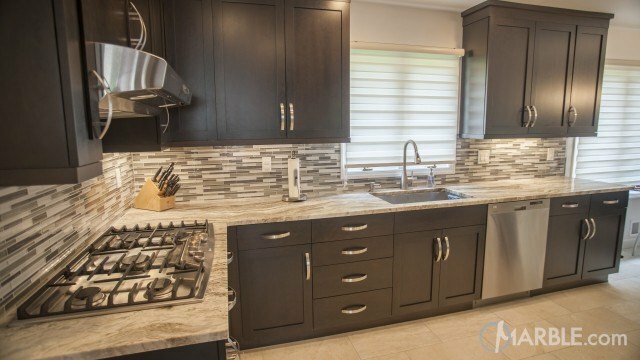 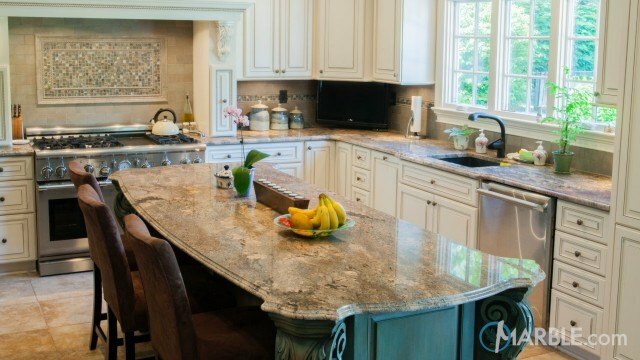 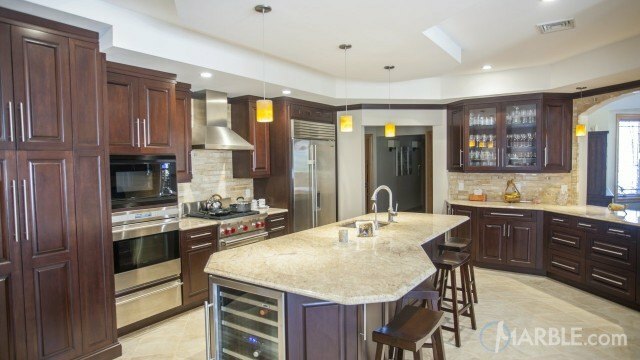 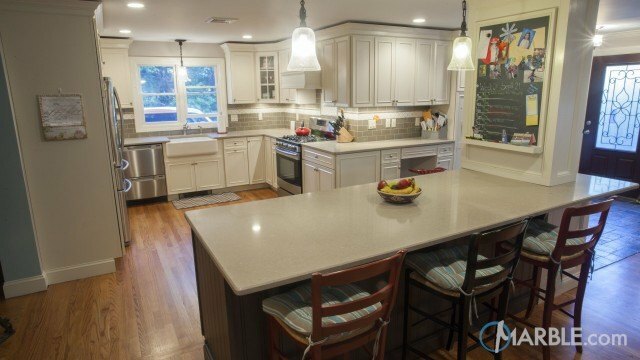 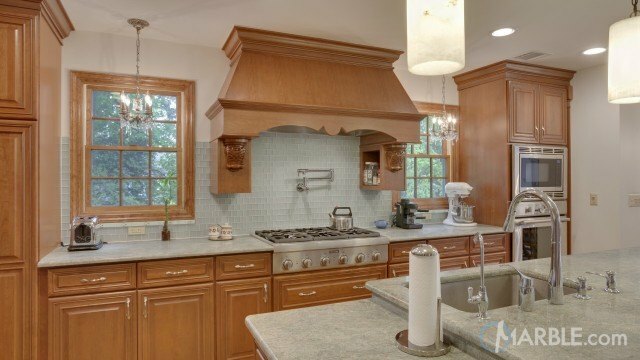 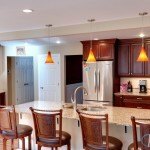 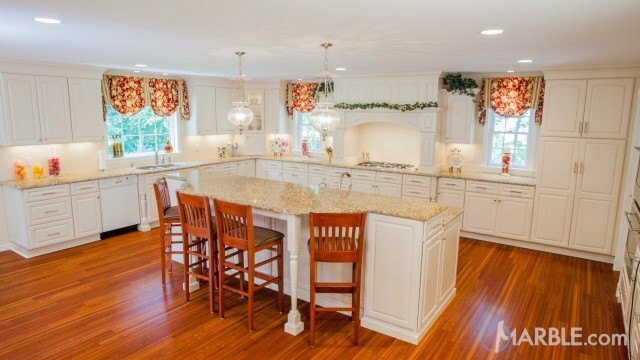 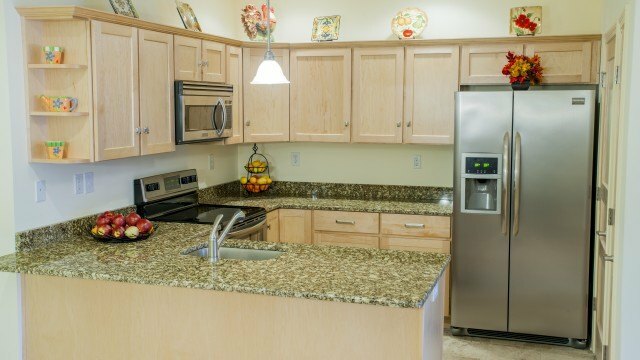 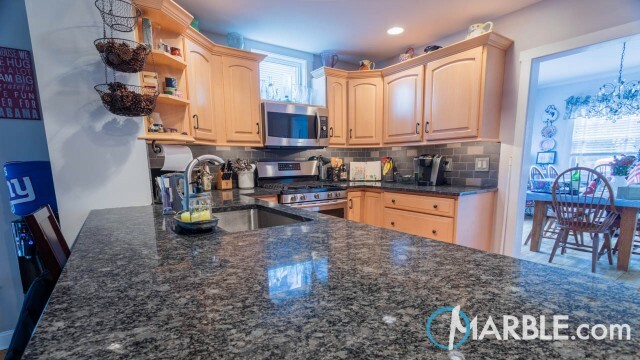 The Giallo Ornamental granite counter tops are the centerpiece of this gorgeous kitchen that features rich dark wood cabinets. 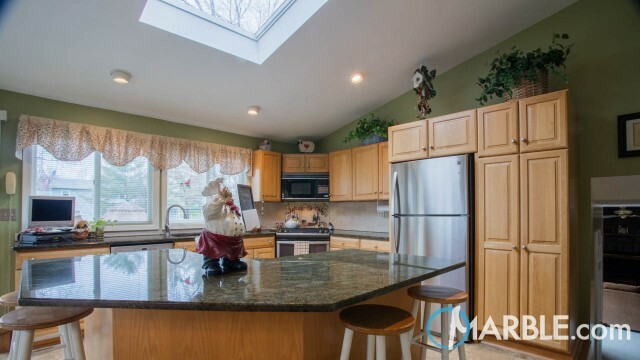 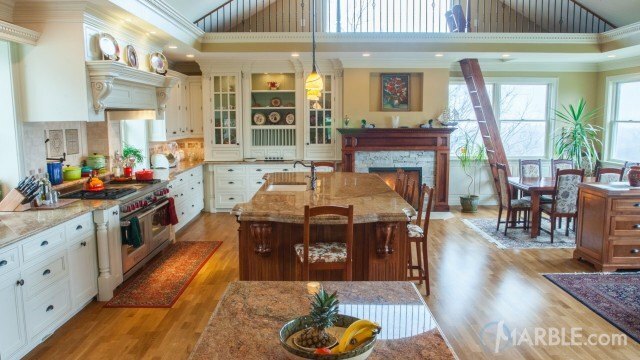 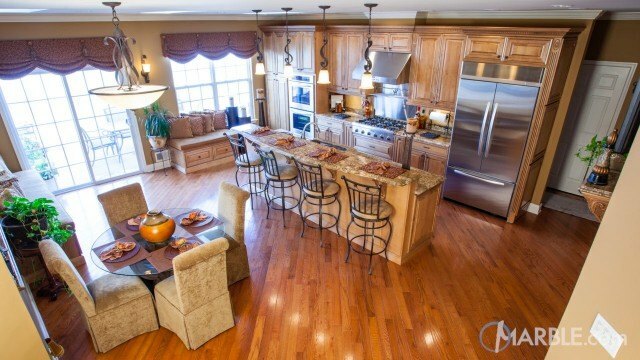 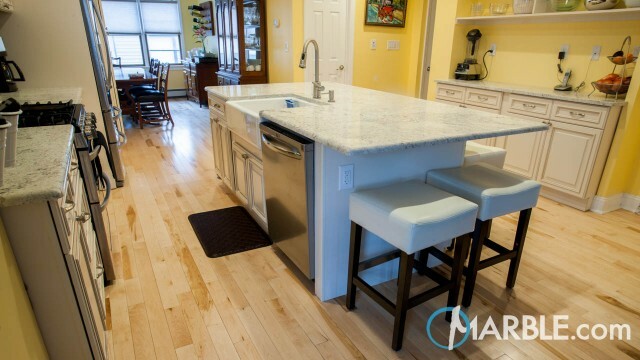 It is set off by wood floors that flow throughout the kitchen and ties the connecting living areas together. 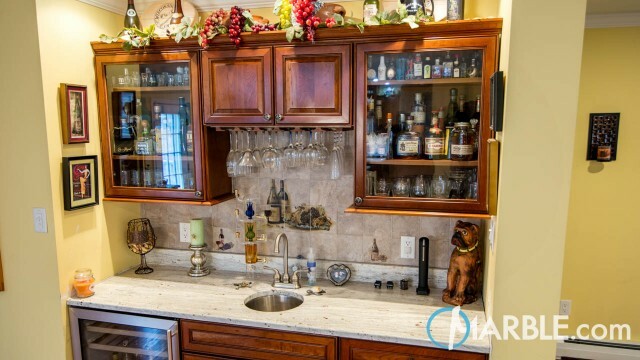 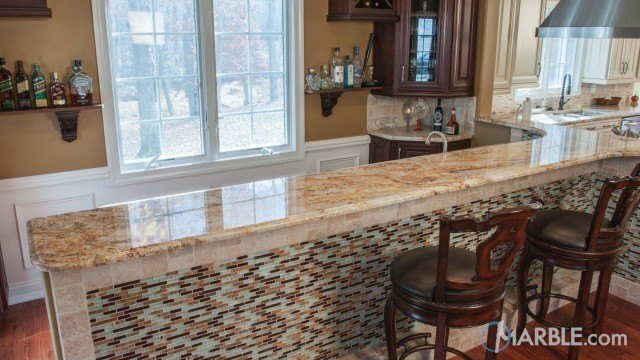 Three drop-down lights add the perfect touch to the bar and sink. 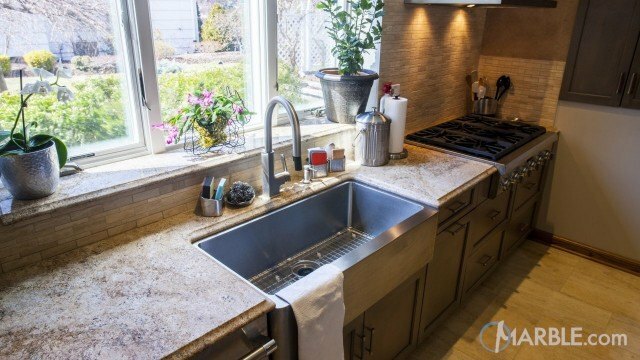 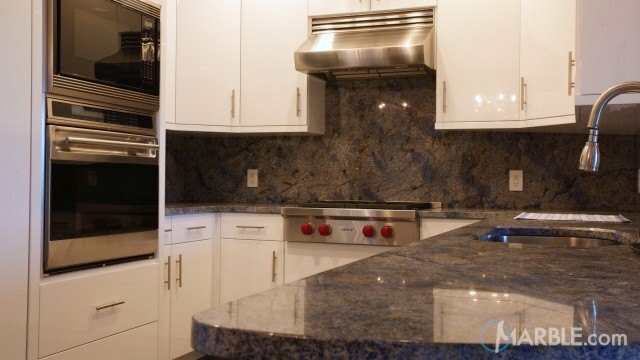 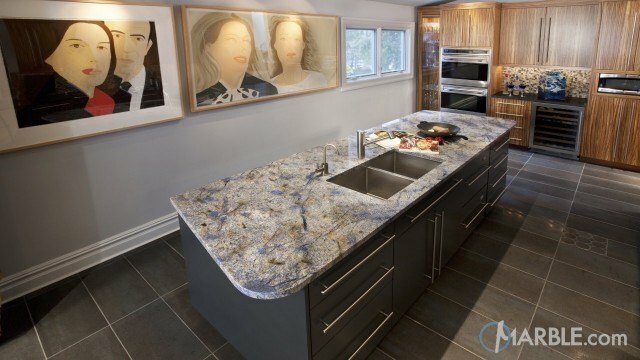 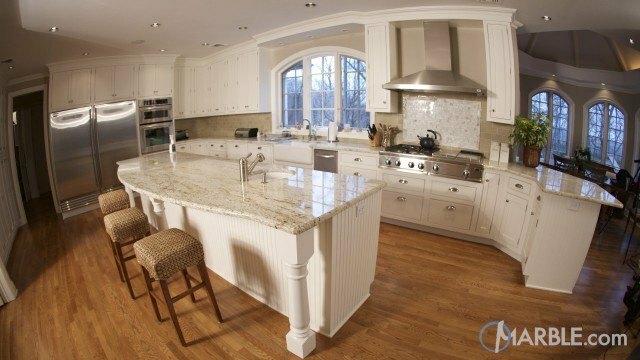 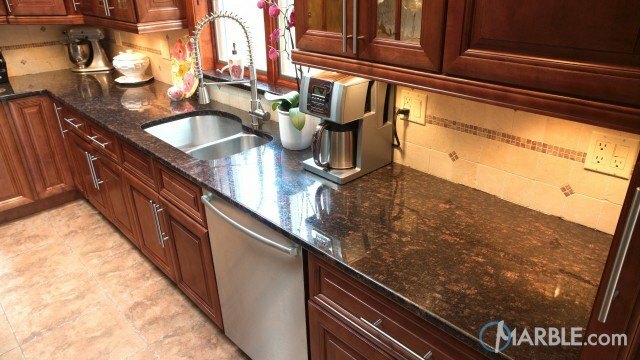 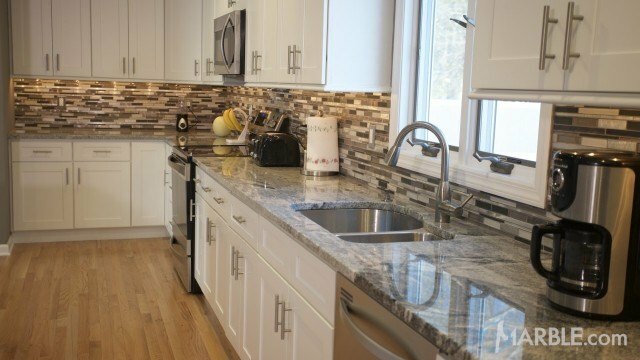 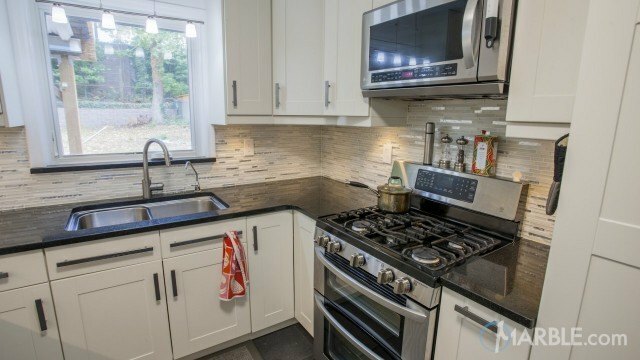 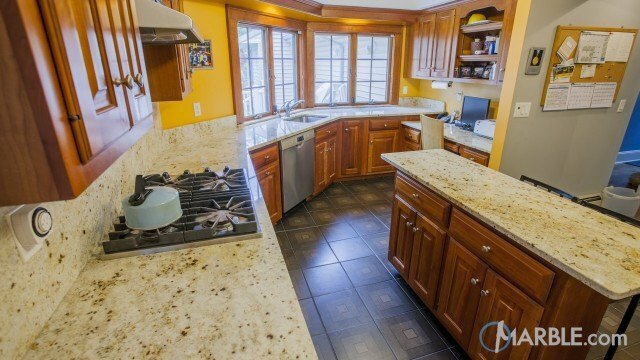 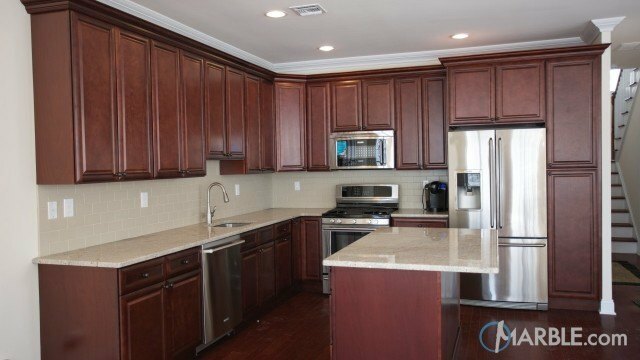 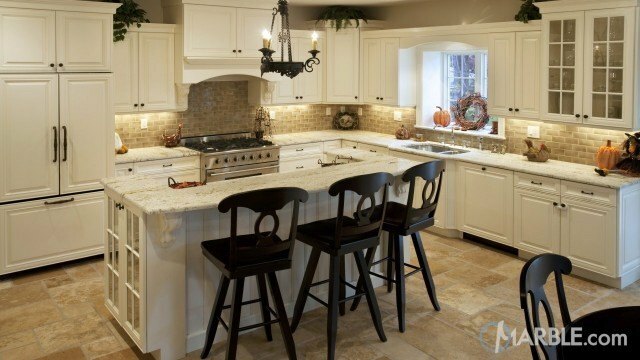 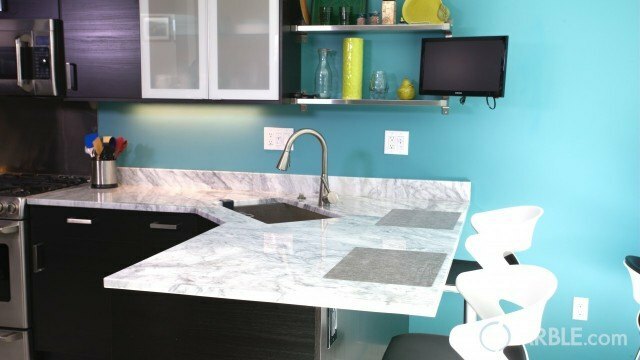 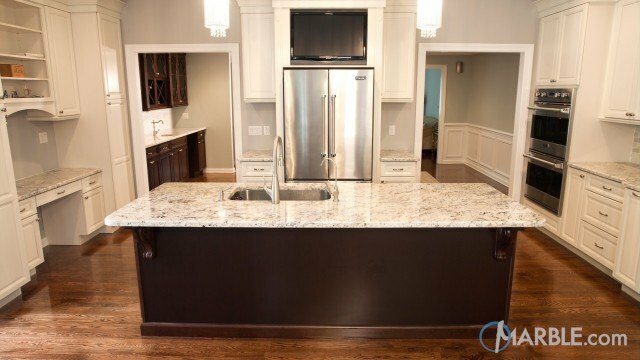 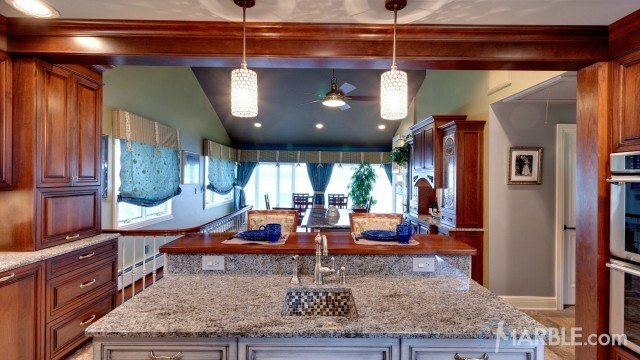 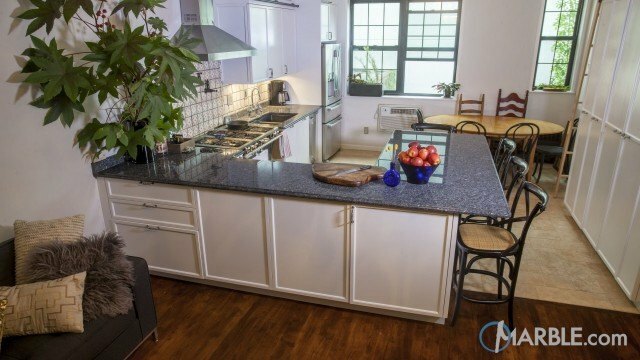 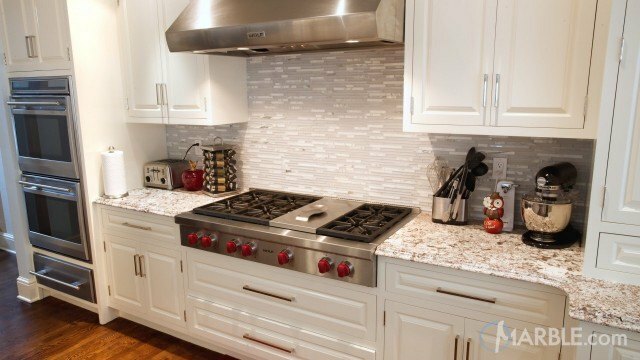 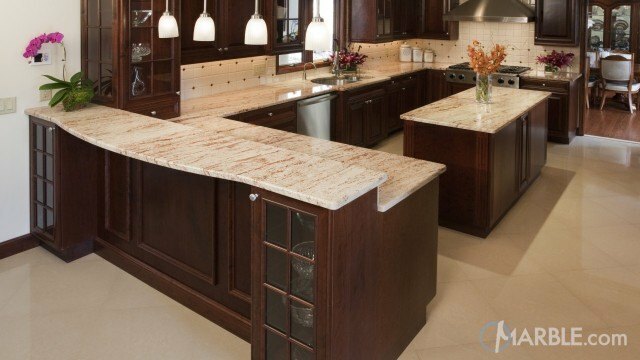 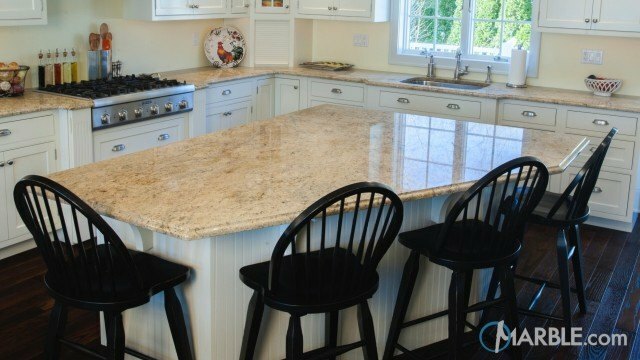 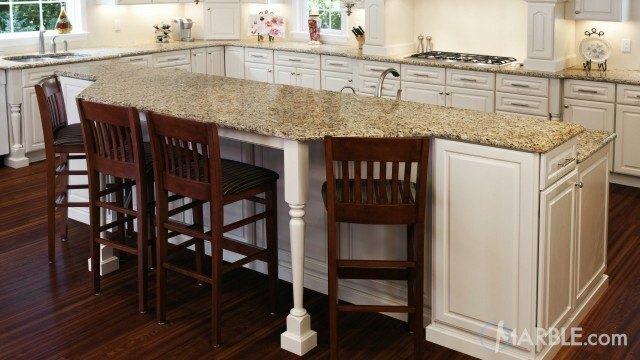 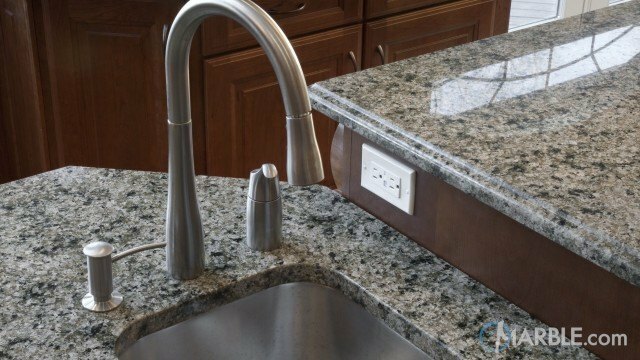 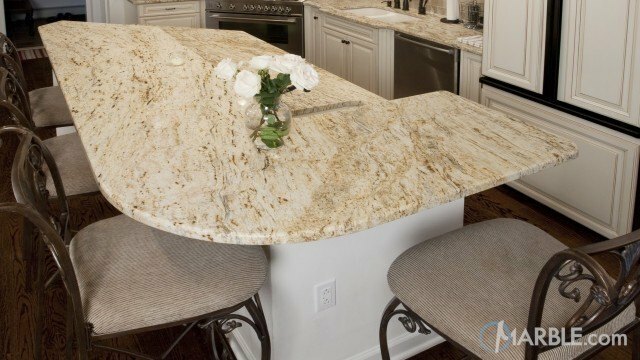 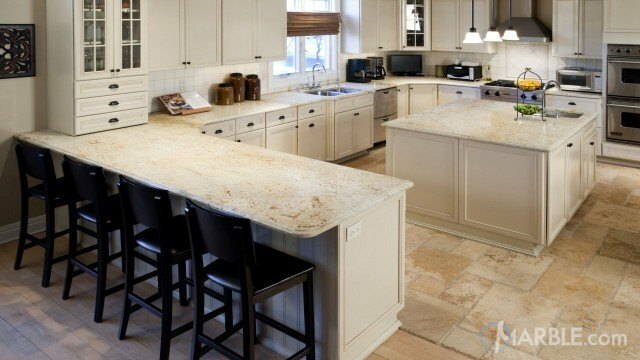 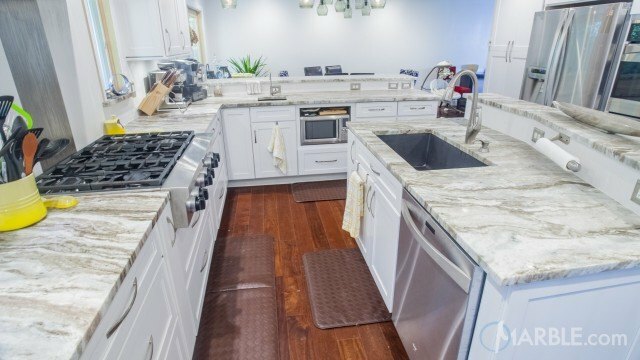 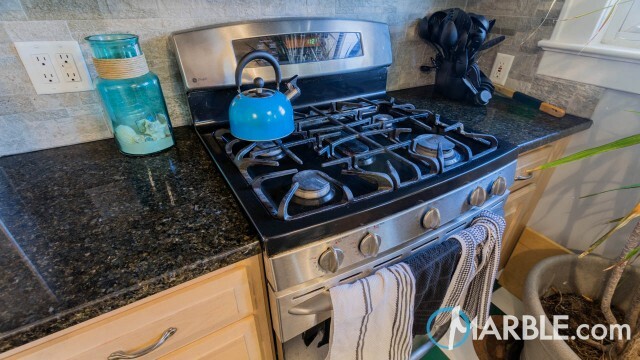 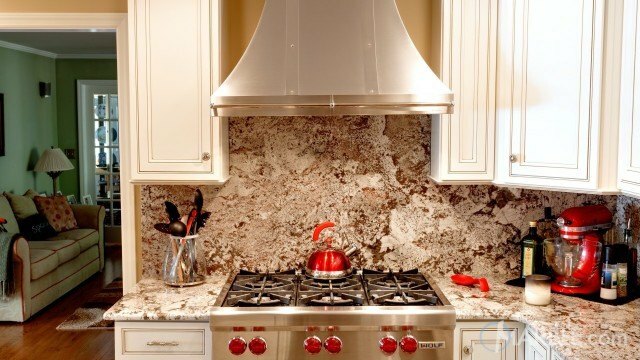 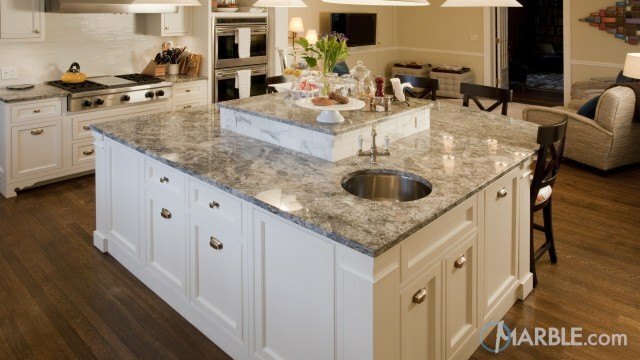 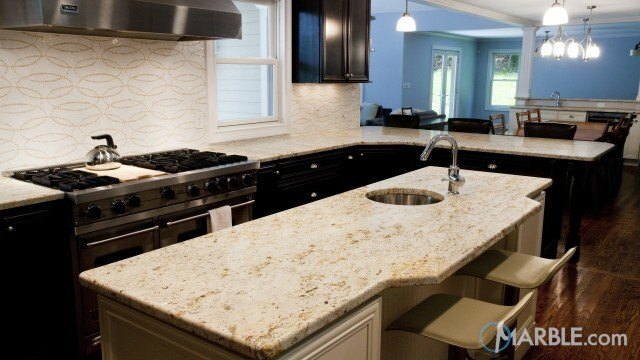 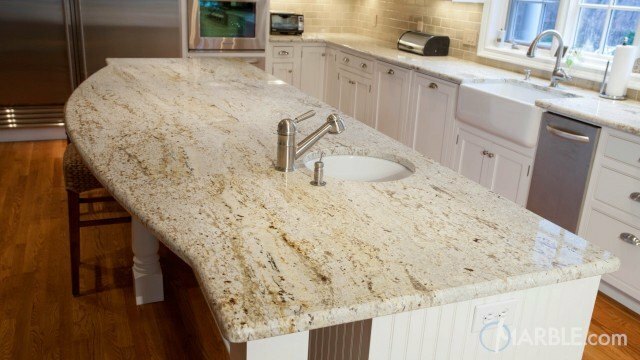 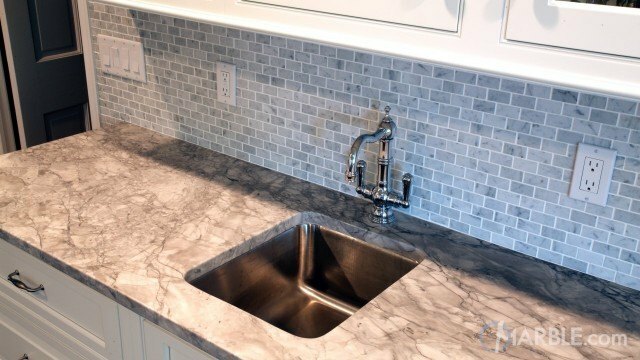 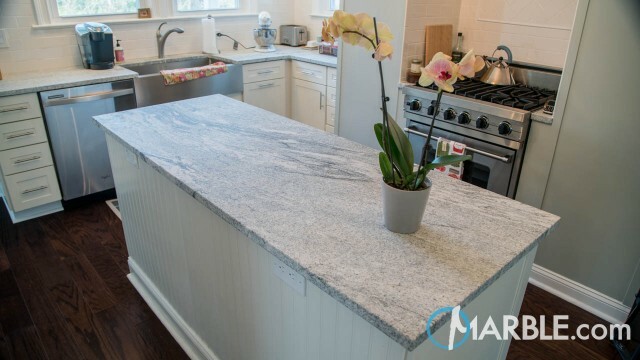 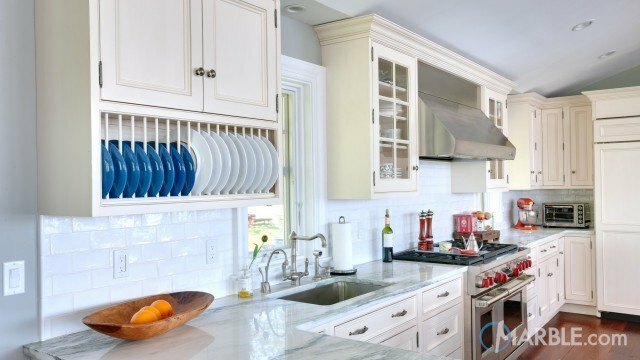 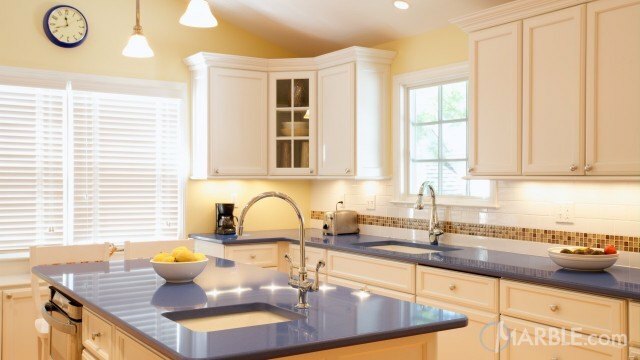 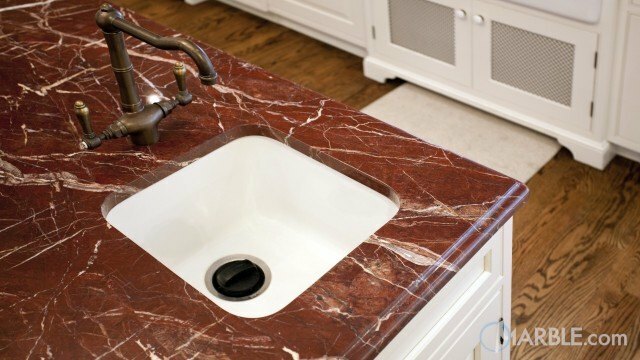 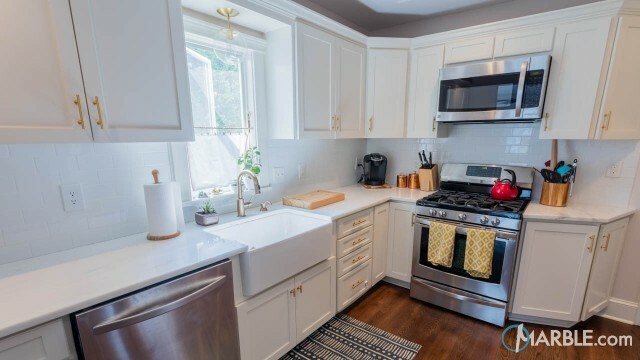 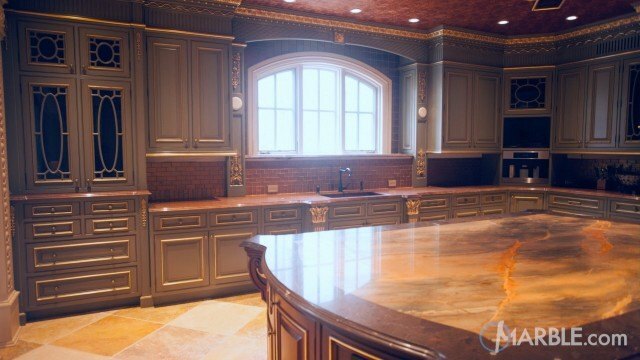 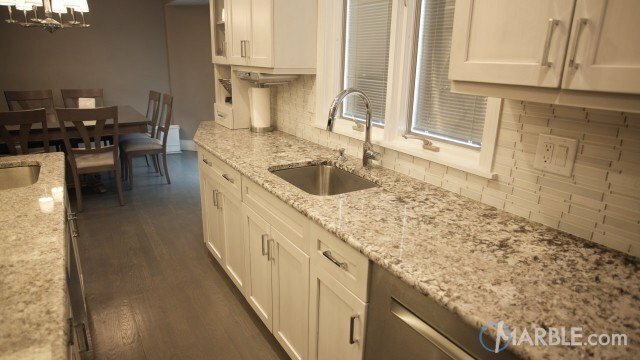 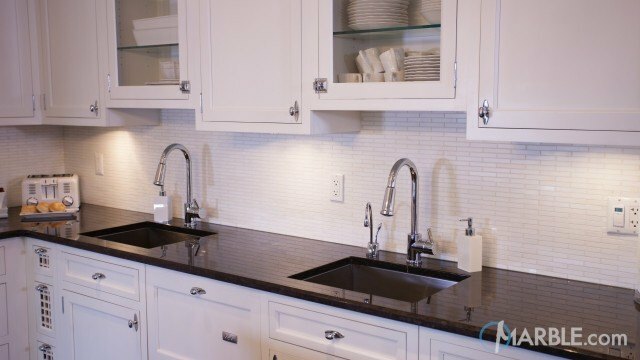 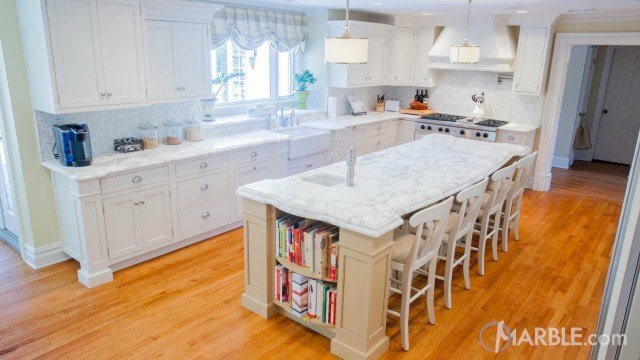 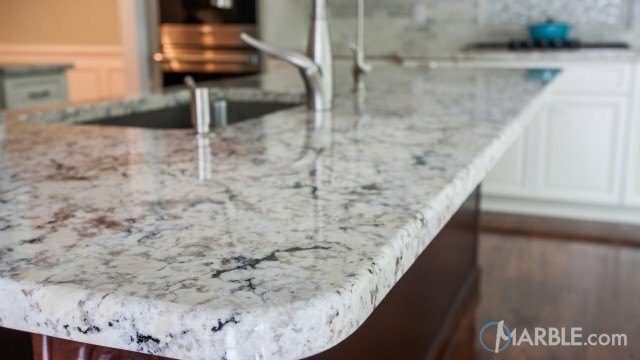 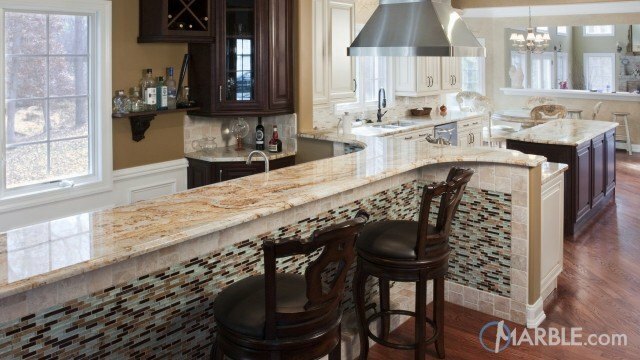 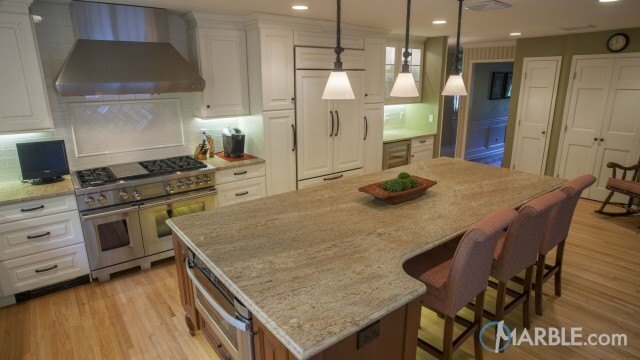 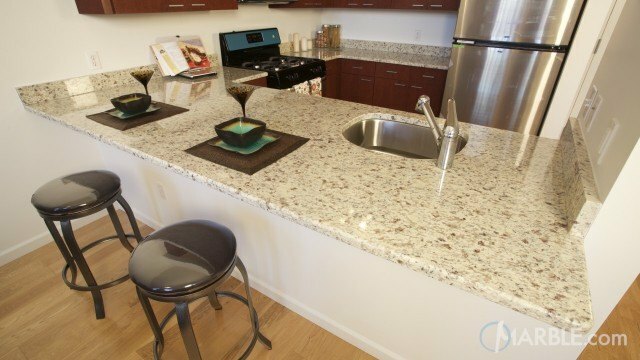 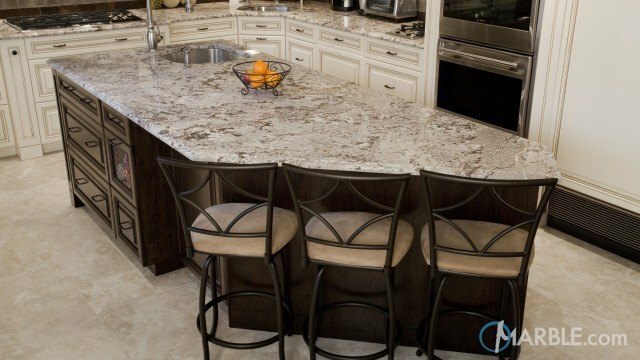 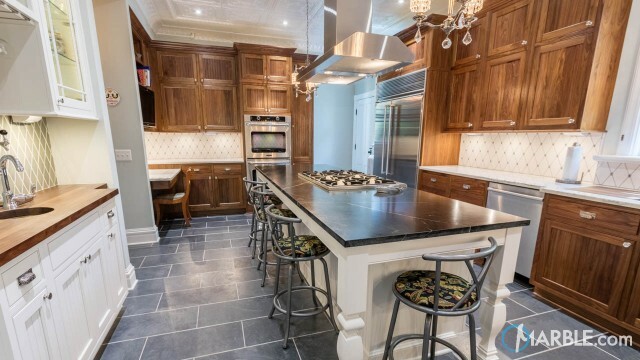 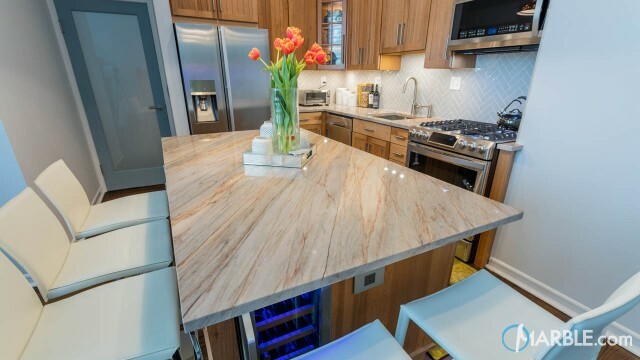 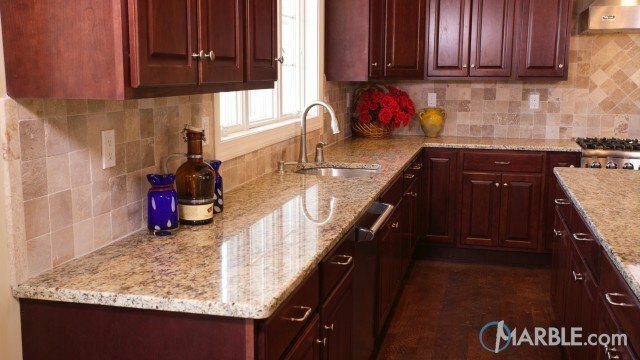 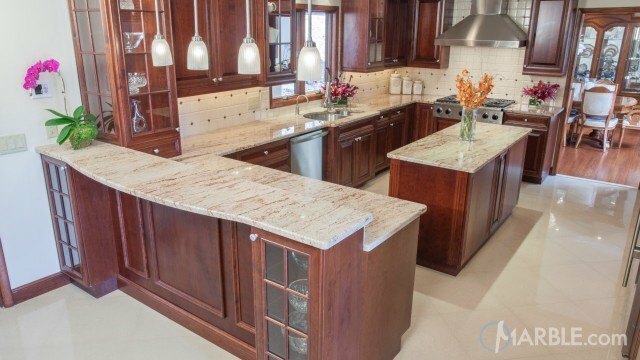 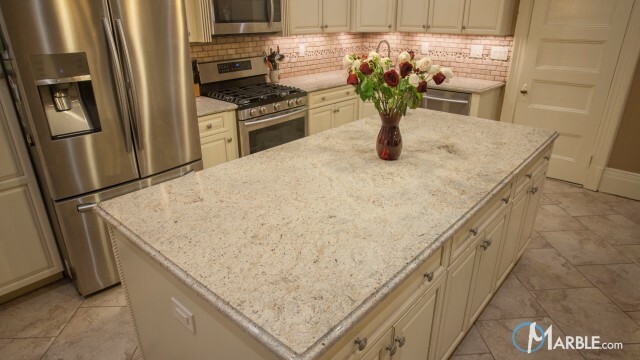 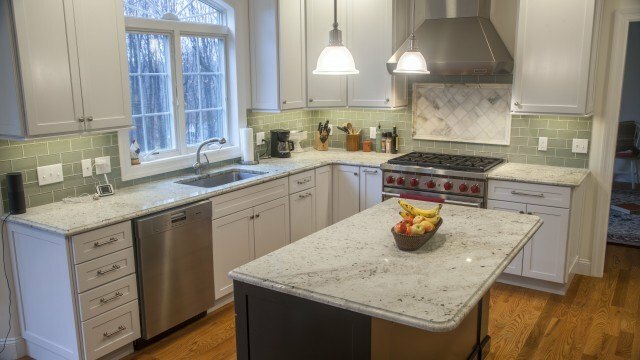 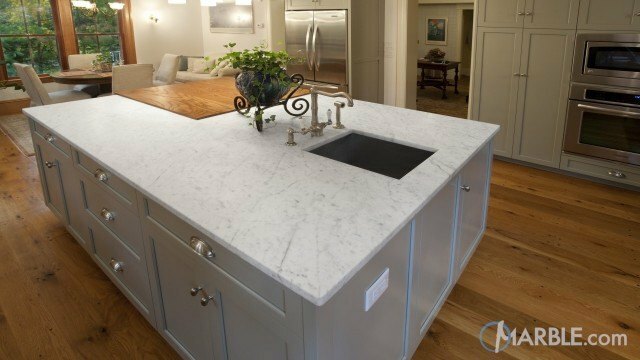 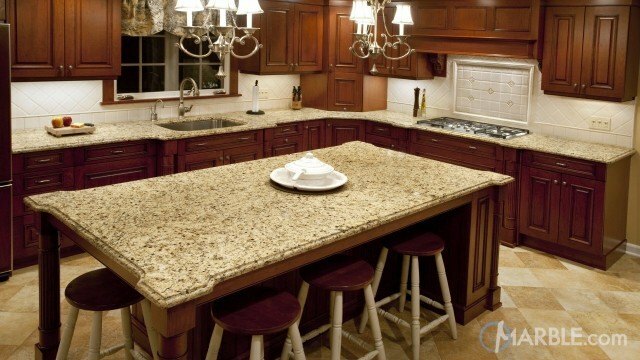 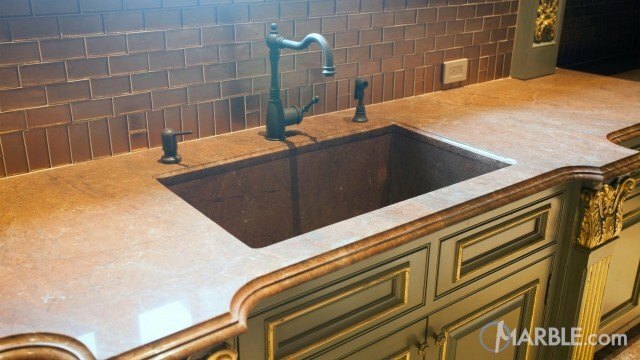 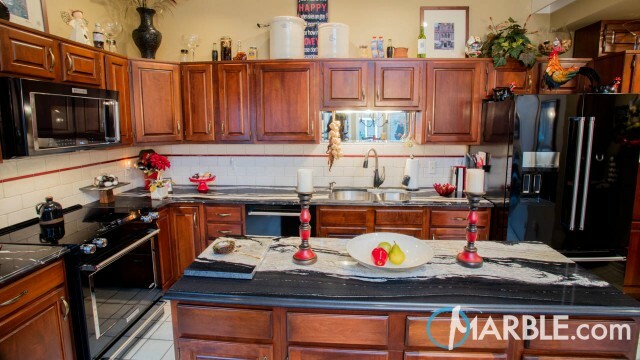 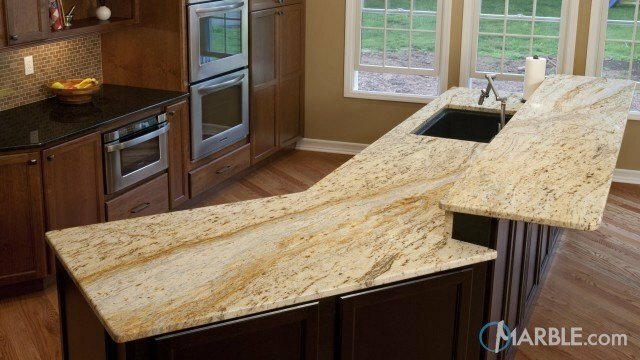 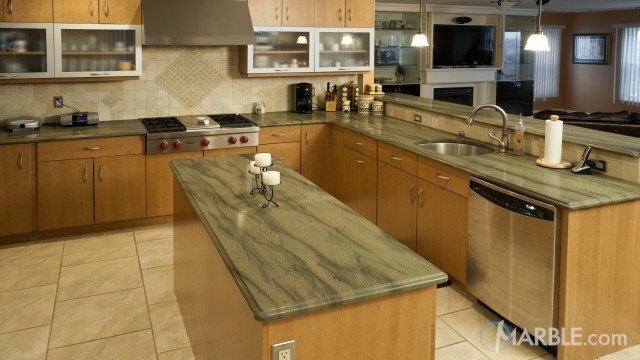 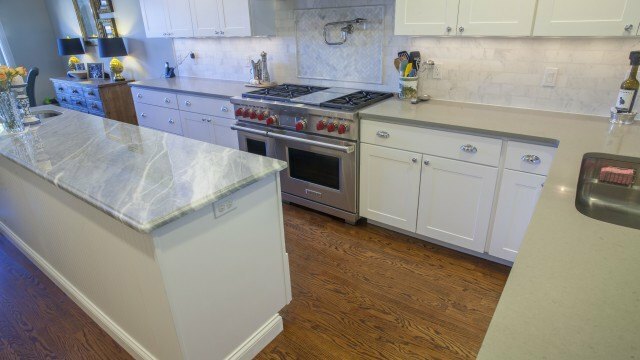 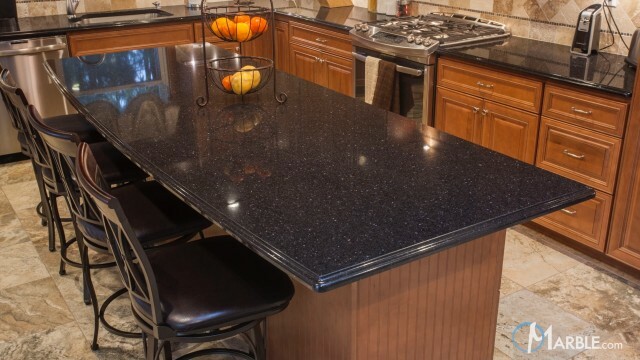 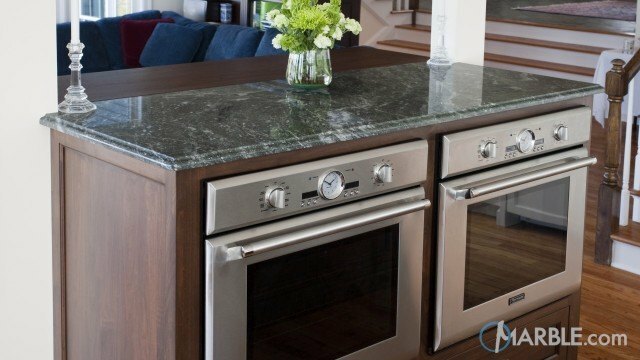 The counter tops feature a 1/4 Round Edge.